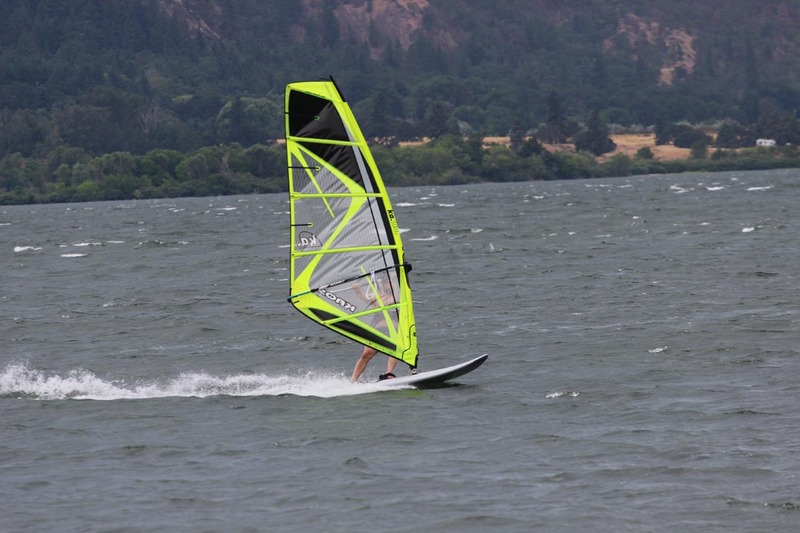 After hitting a few logs while sailing and frustrated with blowing through the bottom of slot boxes, and the lack of unavailability, I decided to upgrade my Starboard Kode Wave Twin board to US boxes. 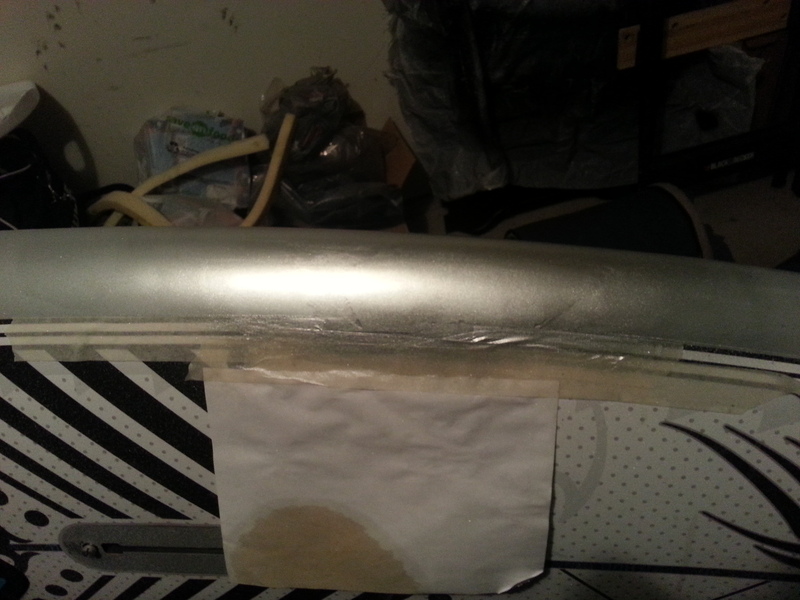 This repair took me way to long, mostly because of the colder winter than usual and not wanting to keep my shop heated on the cold days. 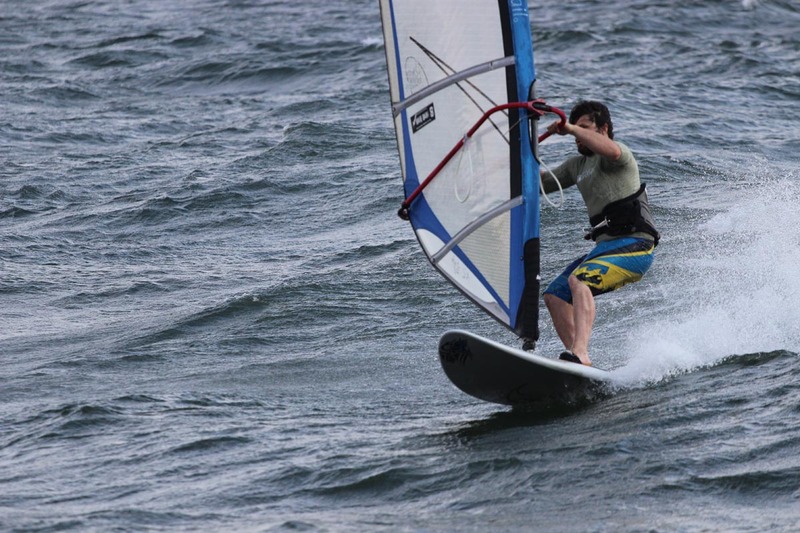 Here’s the basics of what I did, I’m by no means a pro, but I’ve repaired a few boards for myself, and at windsurfing centers as an instructor. 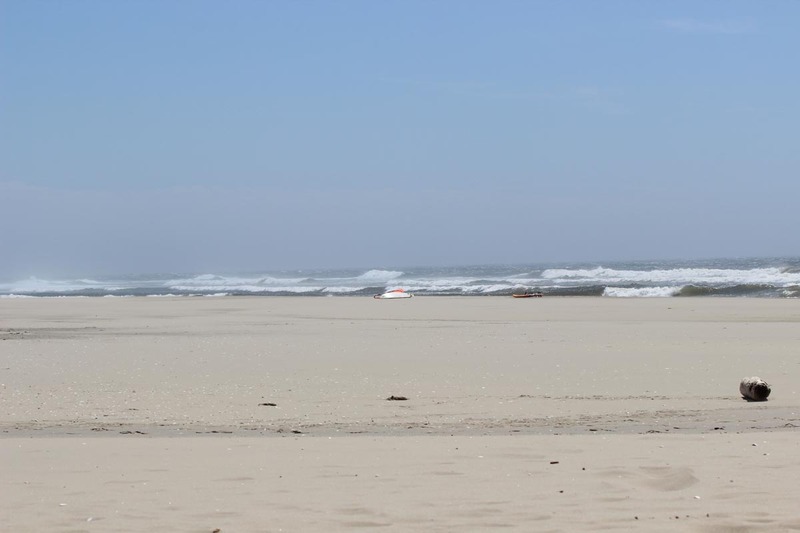 Kelly Slater has an important message for everyone, “It’s not OK to remain unaware. 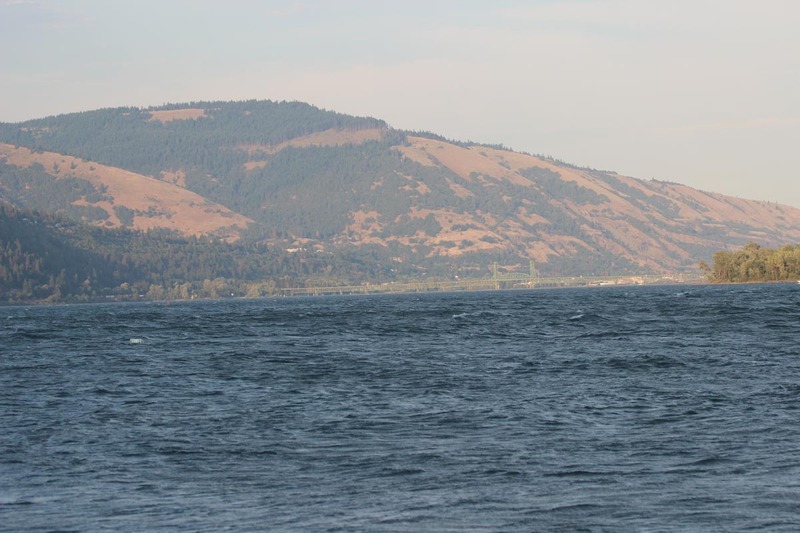 It’s not OK to ruin the natural world.”. 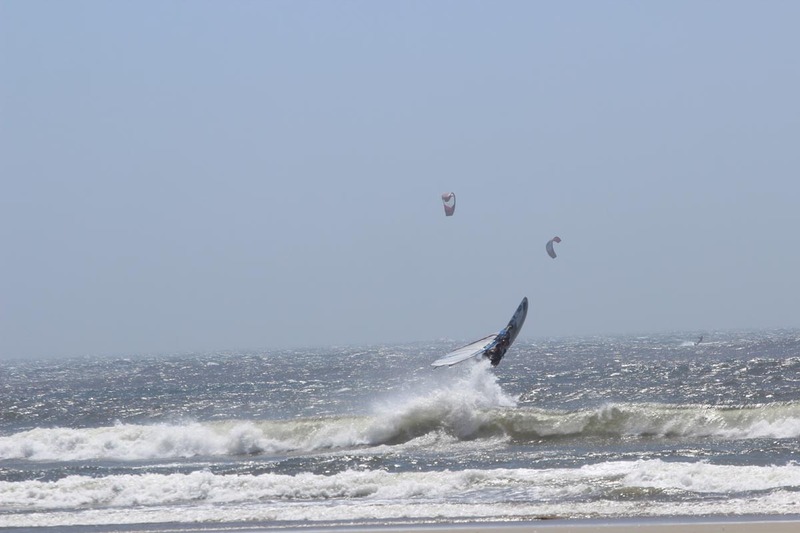 Just a quick little edit I made for Instagram with my GoPro and homemade mast mount, it’s good to be throwing loops again even if I’m not landing them like I used too. 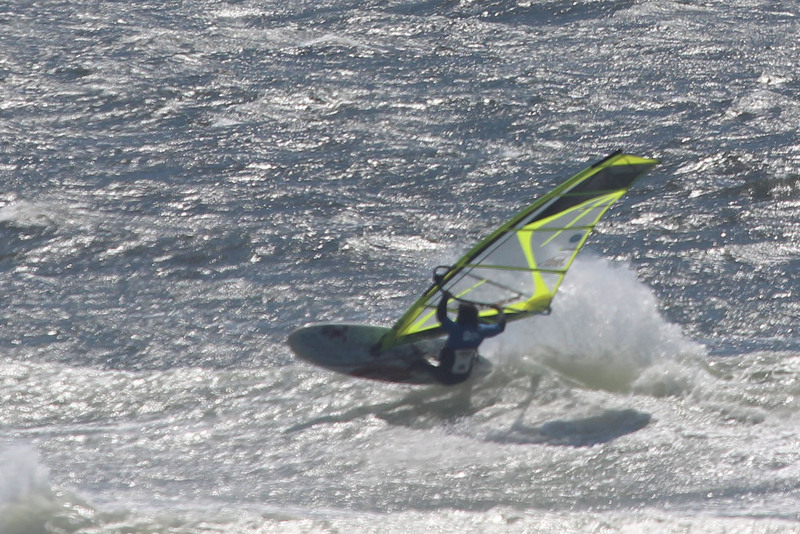 Hopefully I shoot a bunch more video this winter! 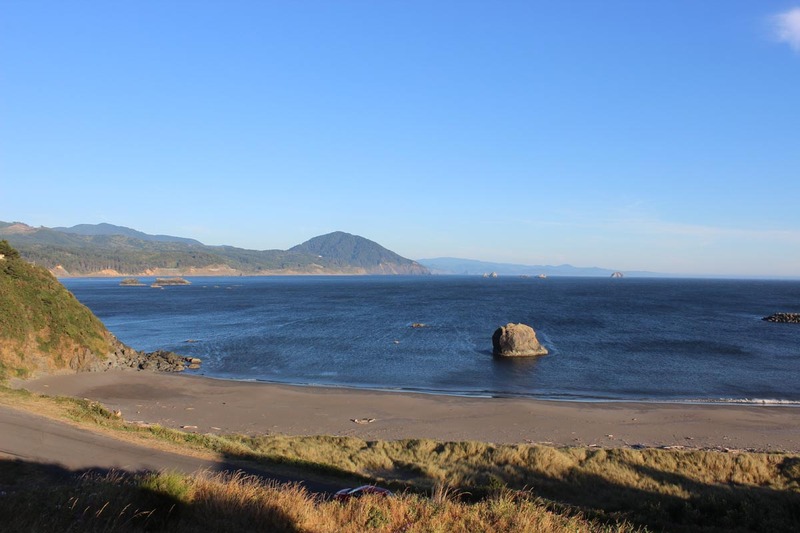 I just finished 10 days on the amazing Oregon Coast, although I only scored 4 of them while I was there. 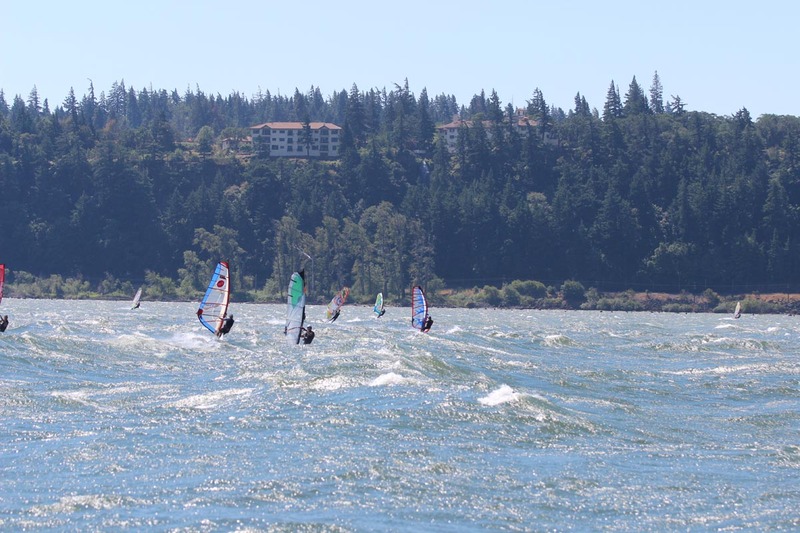 Great people and the 2016 Pistol River Wave Bash, a great contest made the trip! 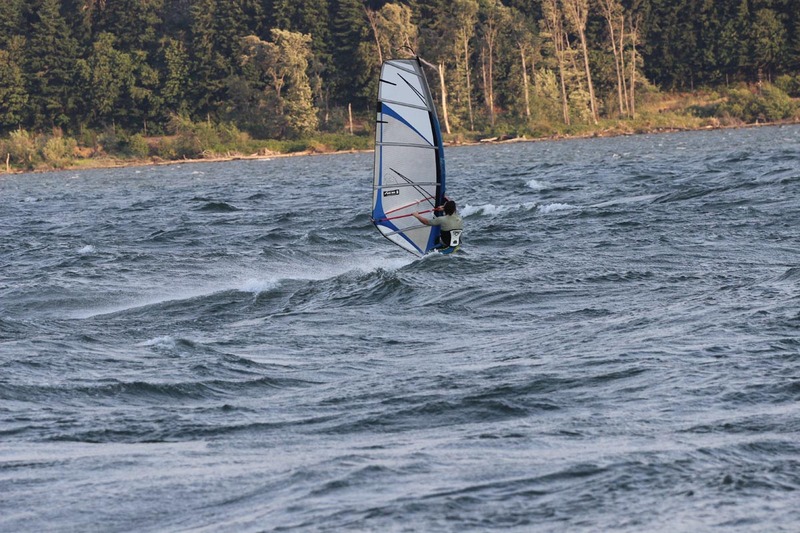 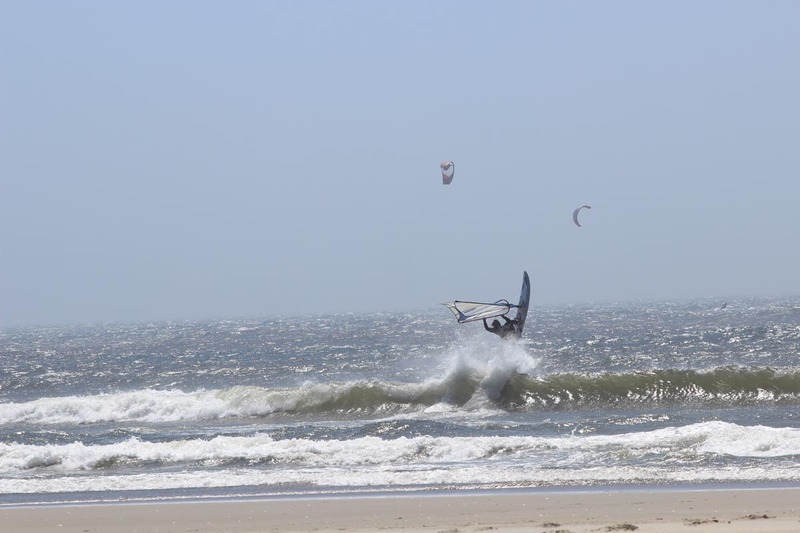 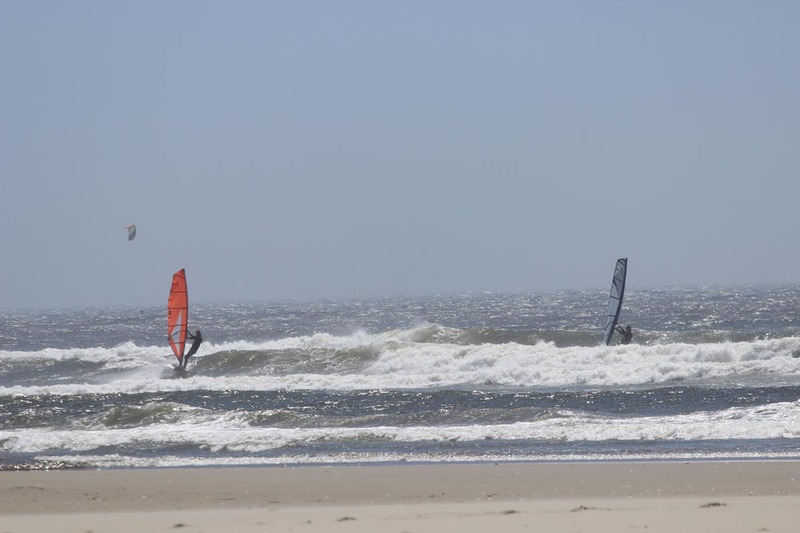 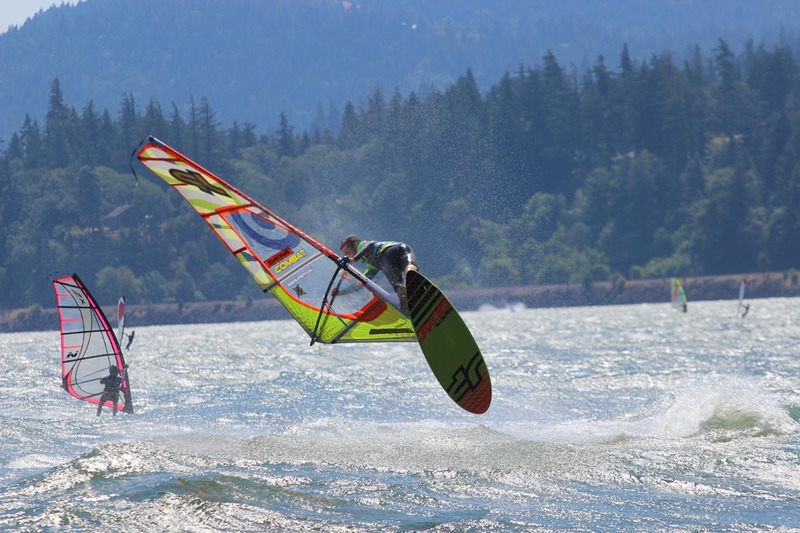 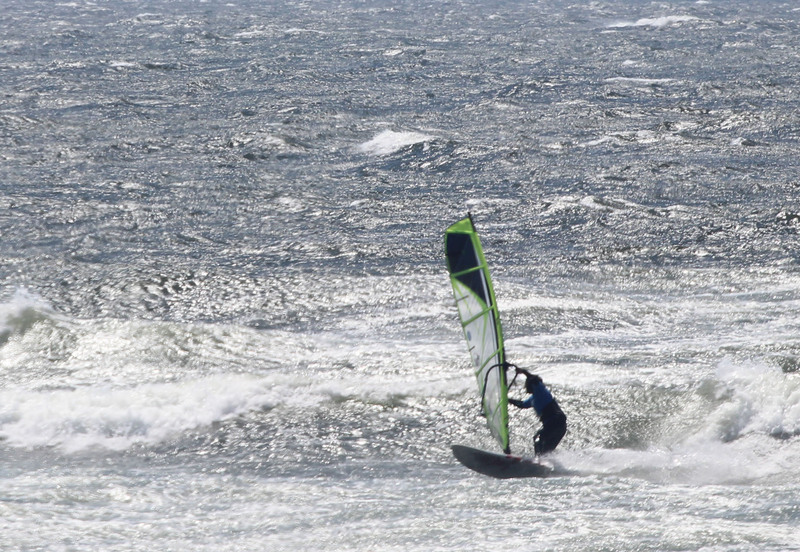 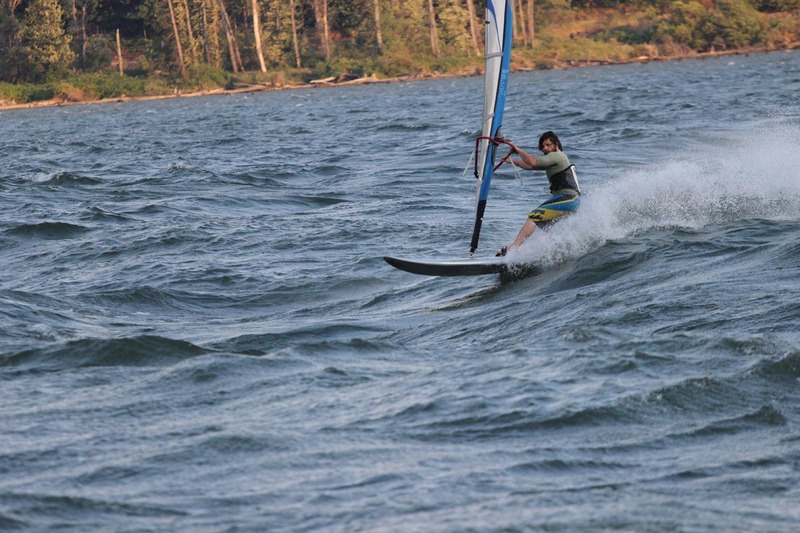 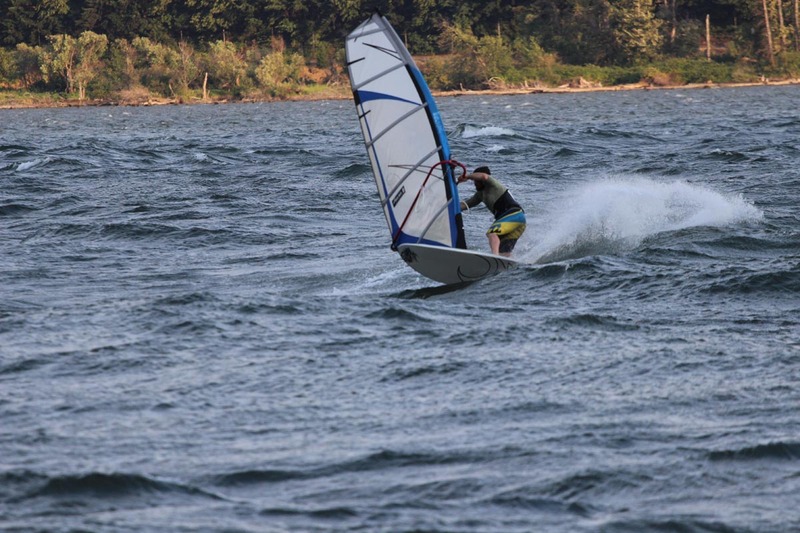 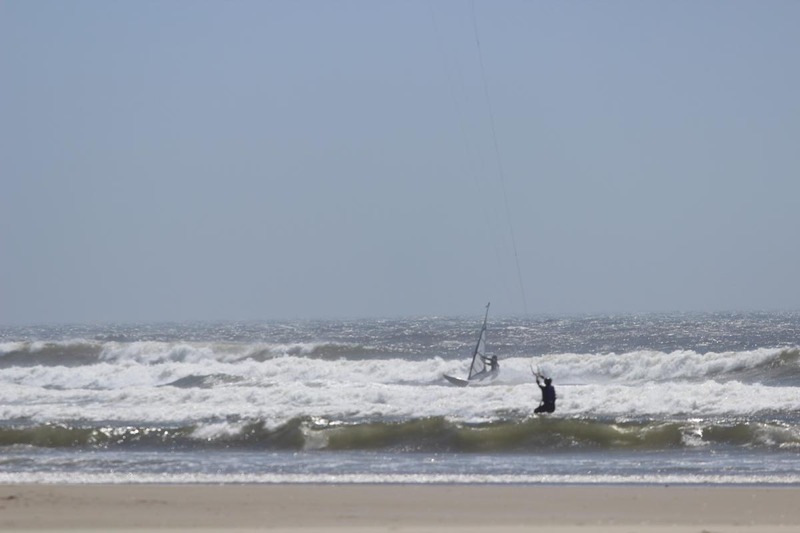 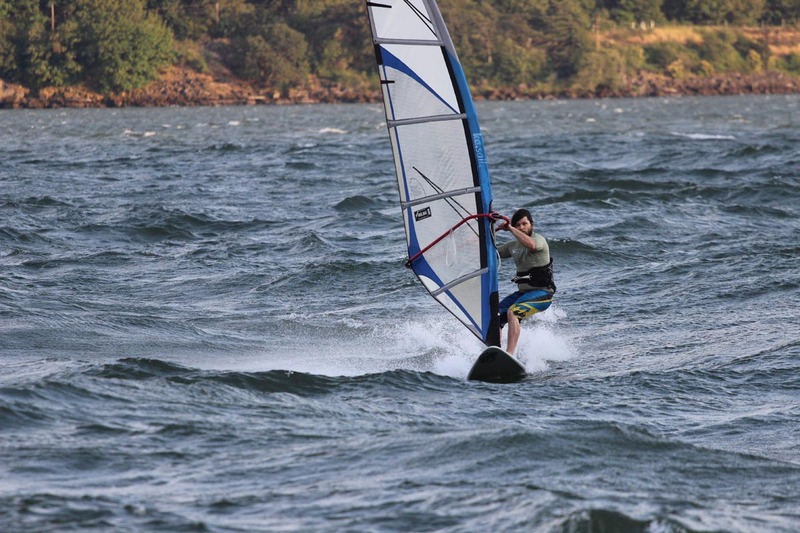 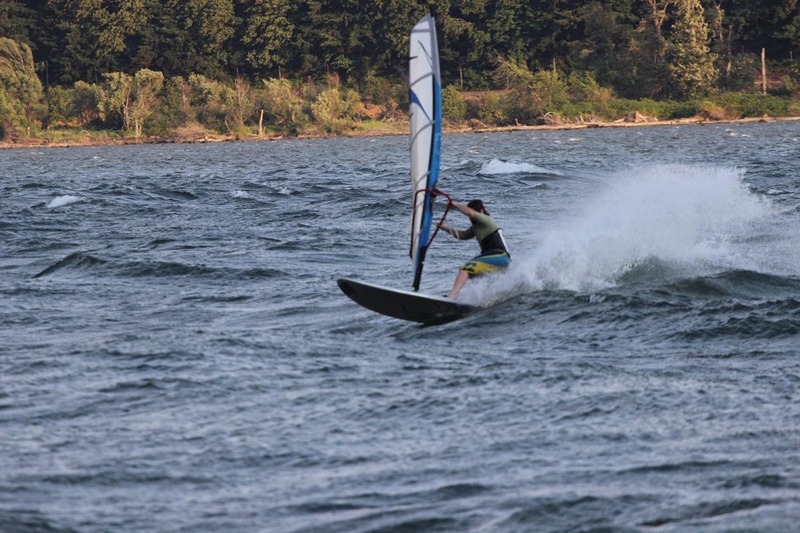 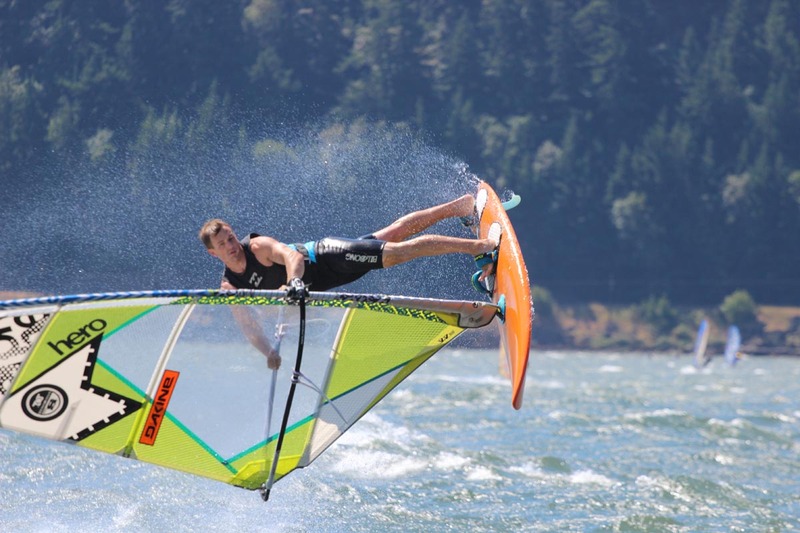 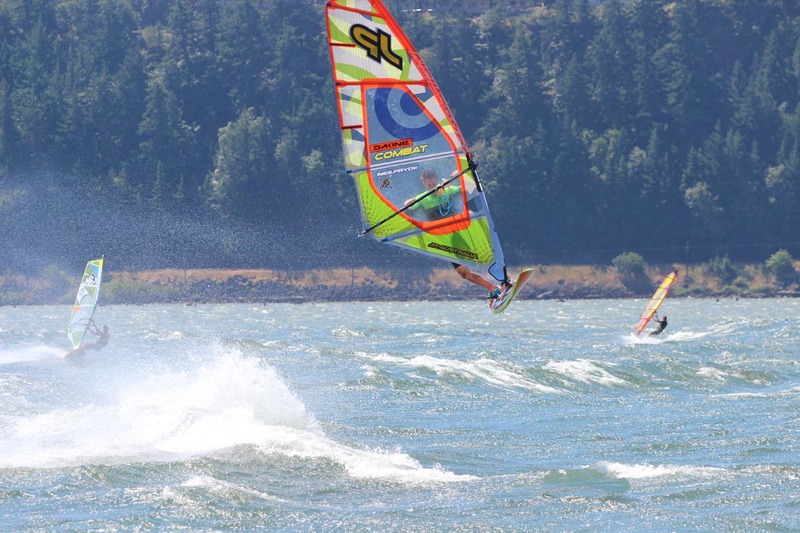 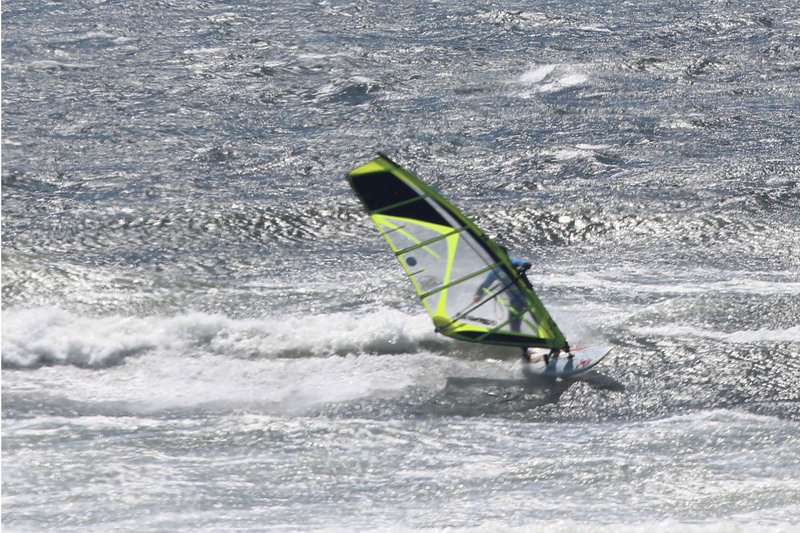 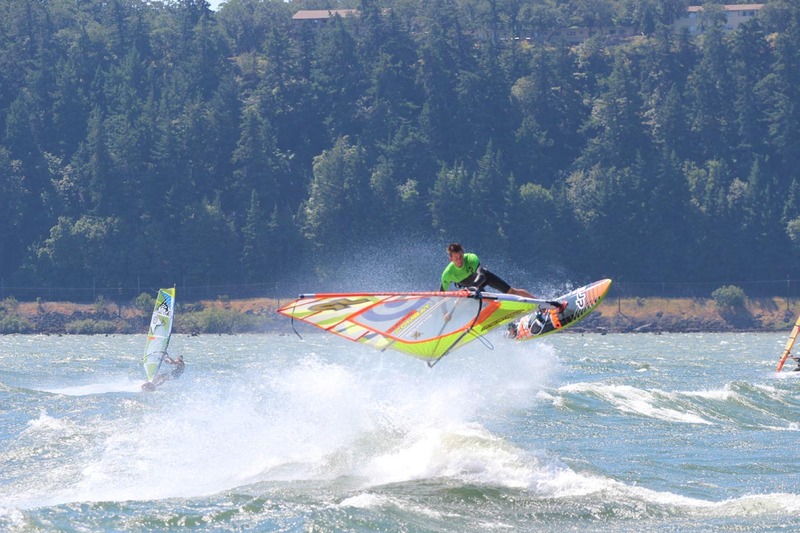 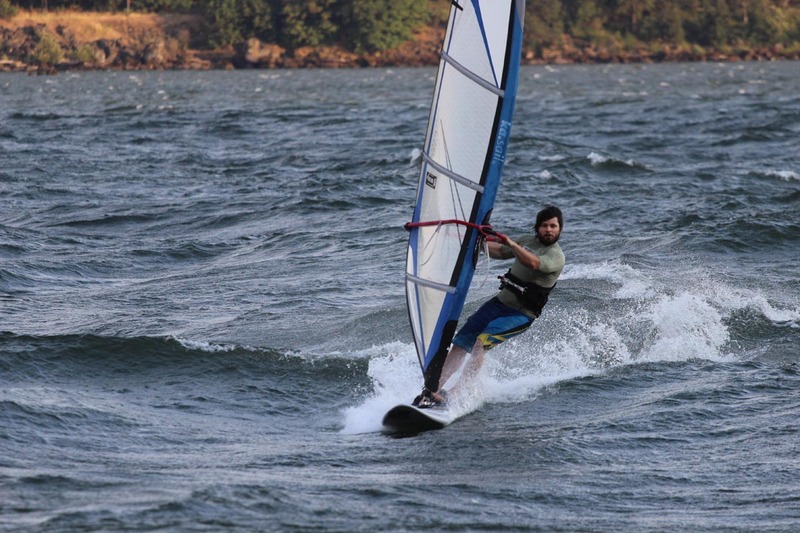 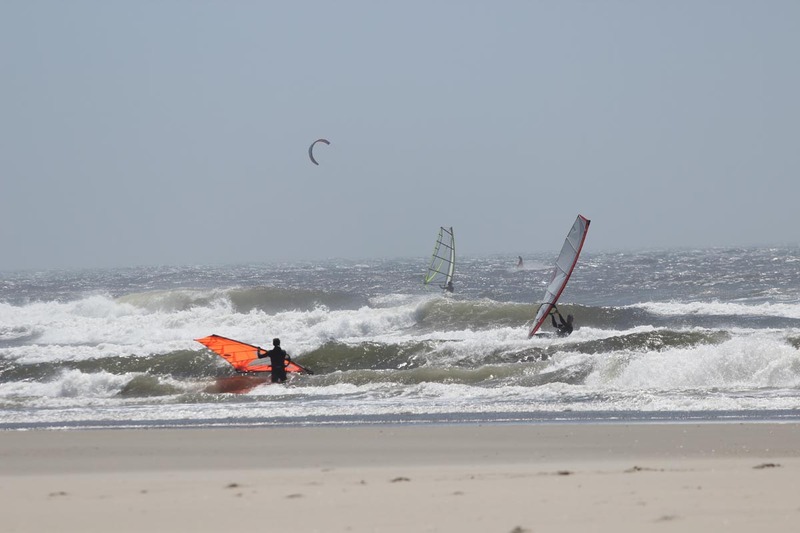 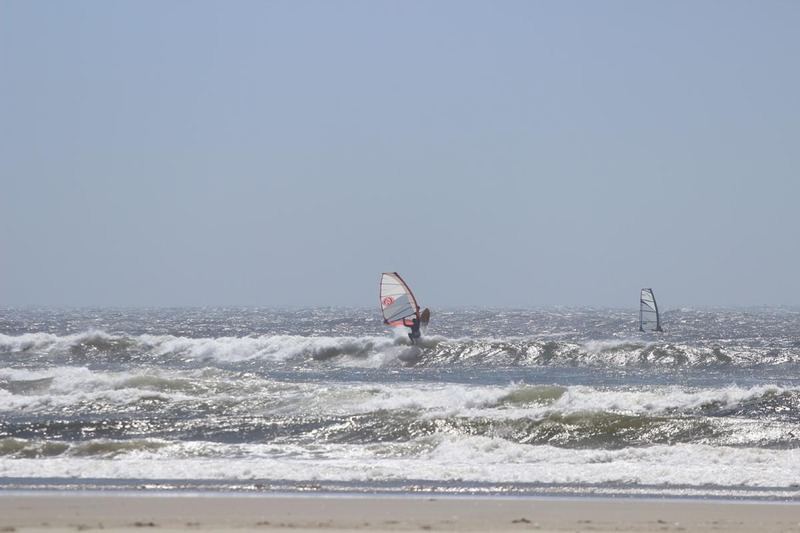 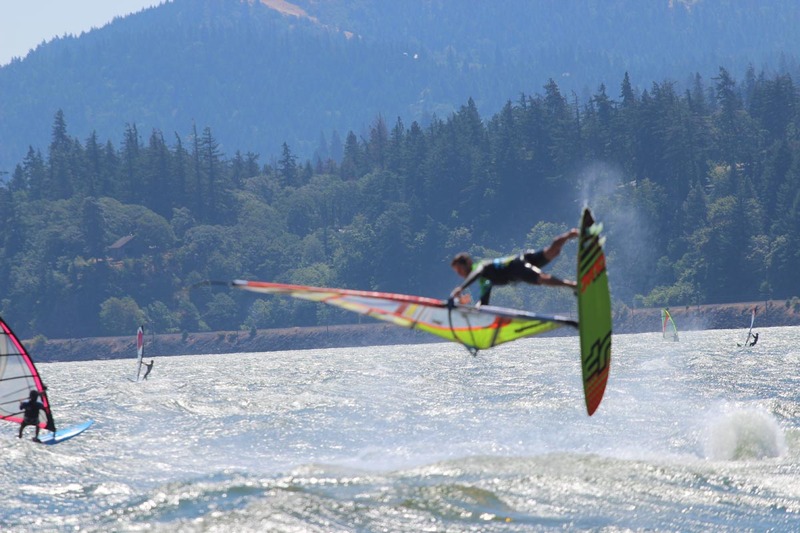 You can check my b\buddies’ and PWA pro, Phil Soltysiak’s write up on the event. 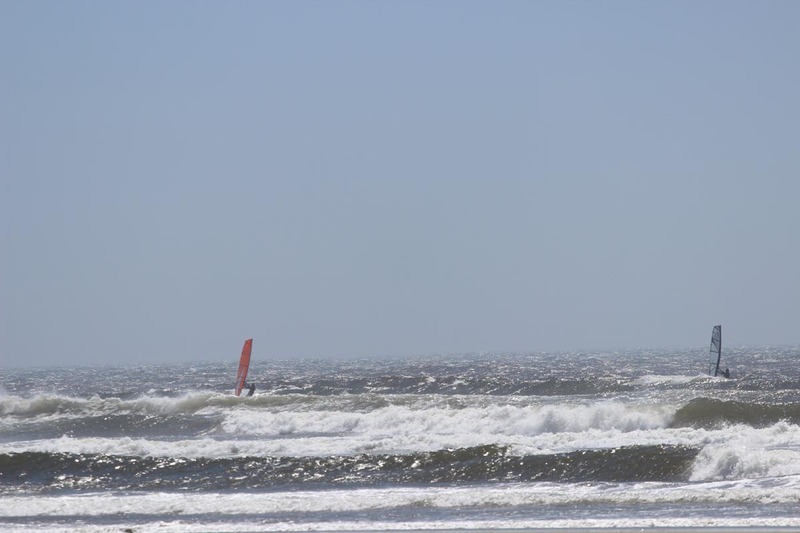 I didn’t finish as well as I hoped, but am I already looking forward to next year. 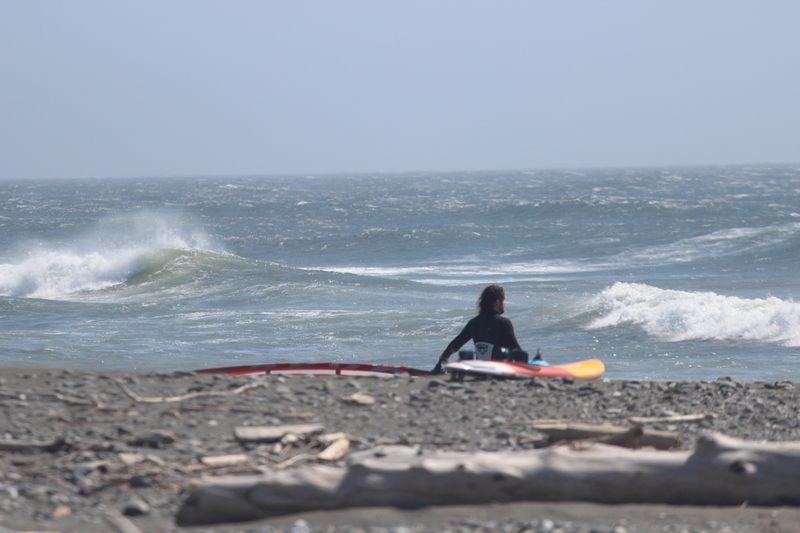 The highlight of the trip was a great day at the Gold Beach South Jetty. 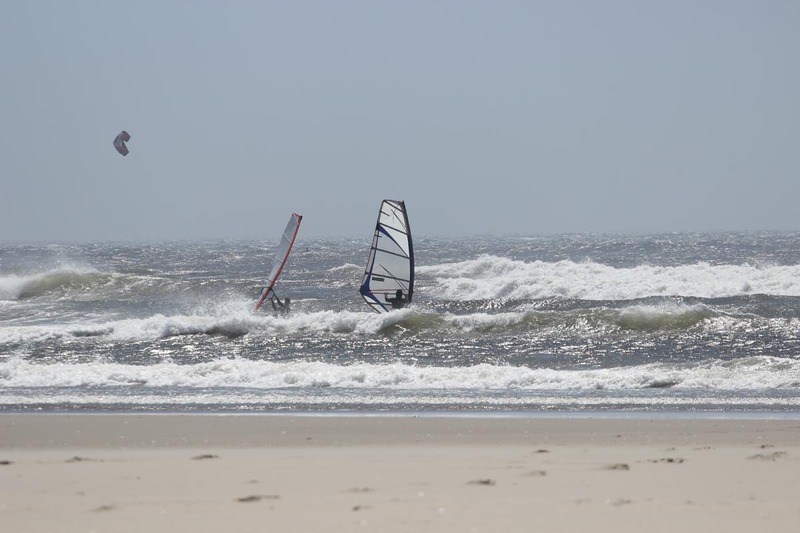 Time to train and work on wave selection and timing on the wave for next year. 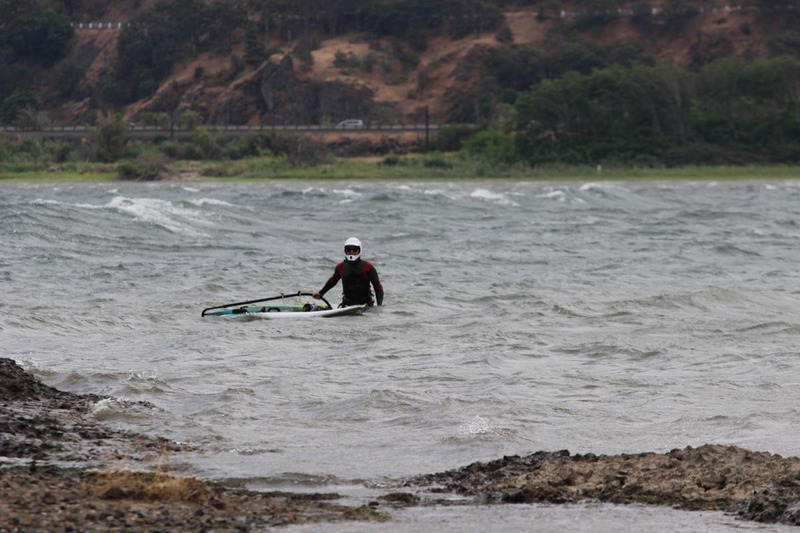 I had been dreaming about sailing Ho’okipa since I started windsurfing around 12 years old. 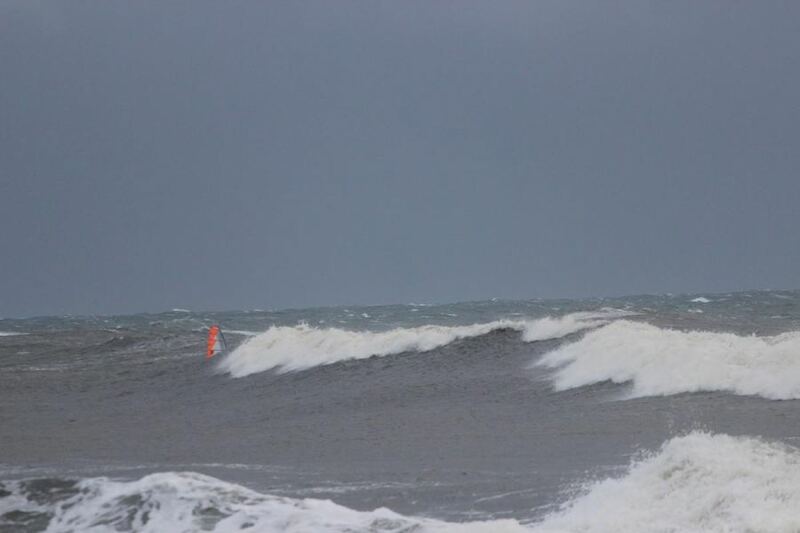 I remember watching the video “Ho’okipa Chronicles” and scoring those sweet waves! 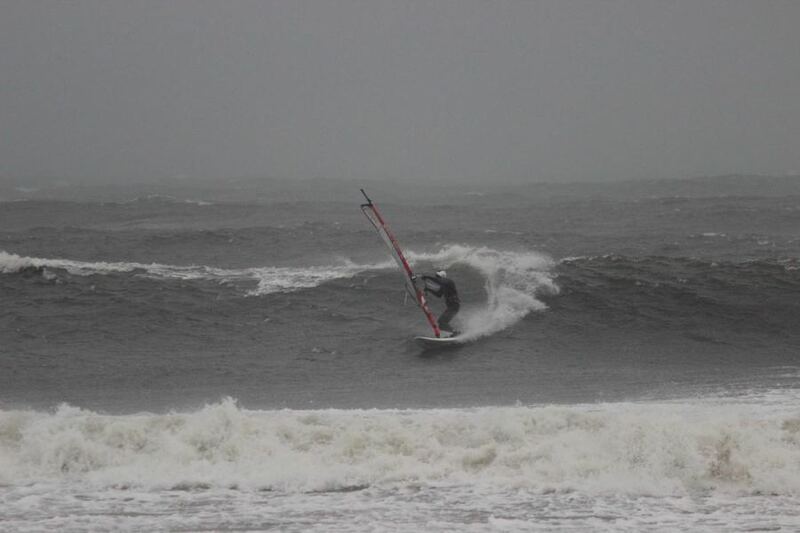 Well after about 20 years of dreaming I scored my session! 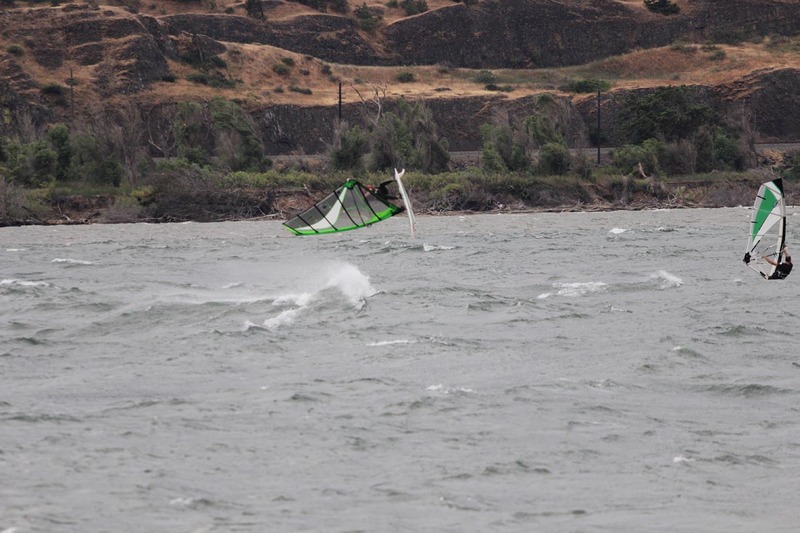 It’s time to work on some freestyle. 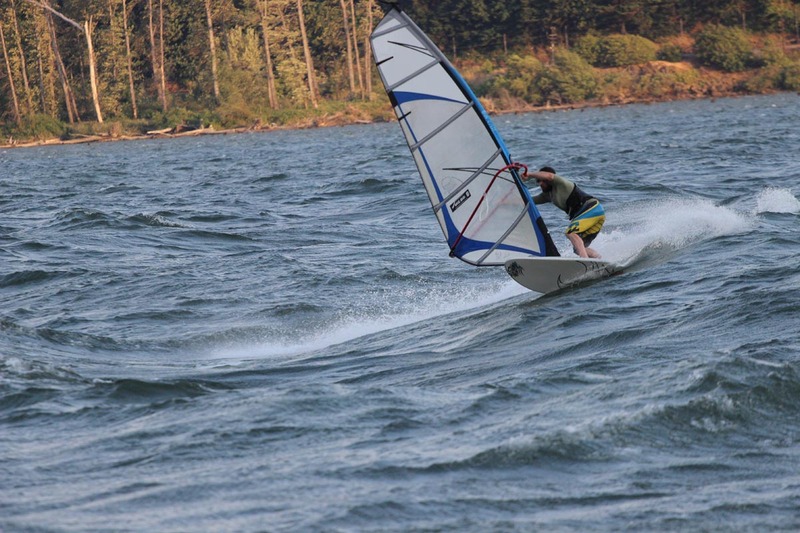 I picked a great board, a 105L 2011 Goya X1 up from windsurfcanada.com classifieds, only shipped all the way from Ontario. 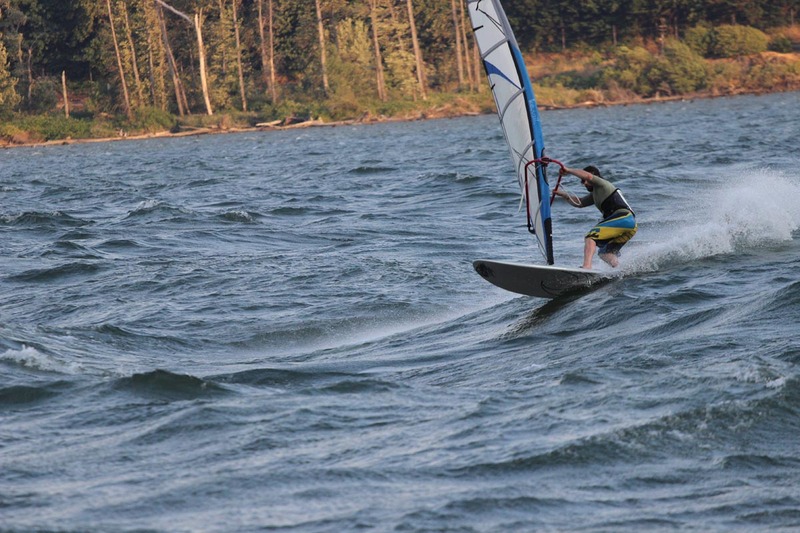 Should be a great board for the summer conditions around Victoria and at Nitnat lake. 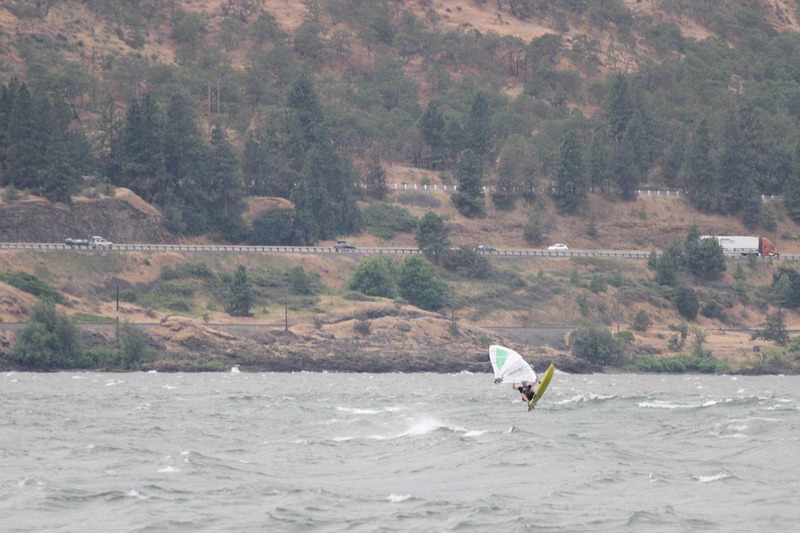 Storm season has rolled into Vancouver Island in full effect, cancelled ferries, power outages, rain and lots wind. 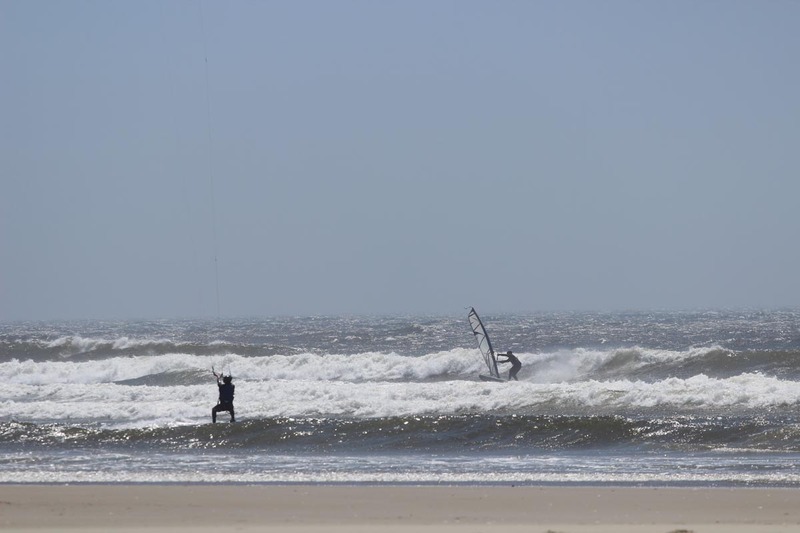 All good news for us wind boarders. 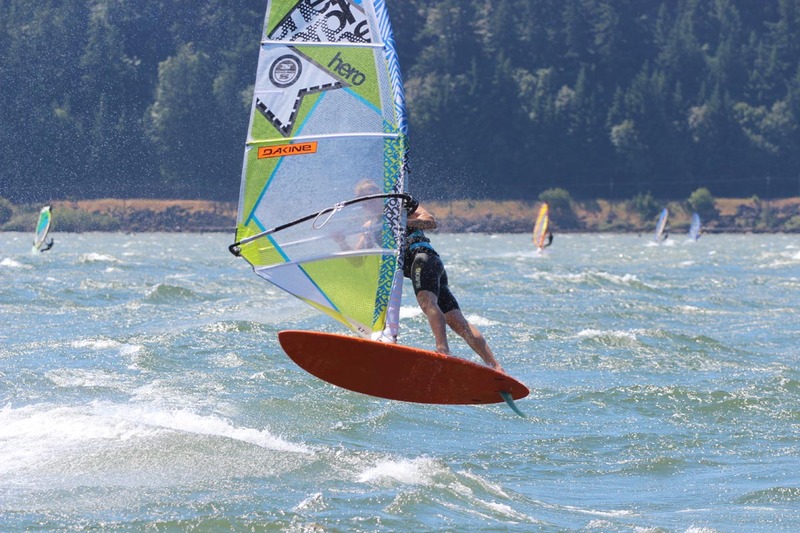 It might be in part due to my change in work status, but I’ve scored more amazing sessions this fall and winter then I did over the summer. 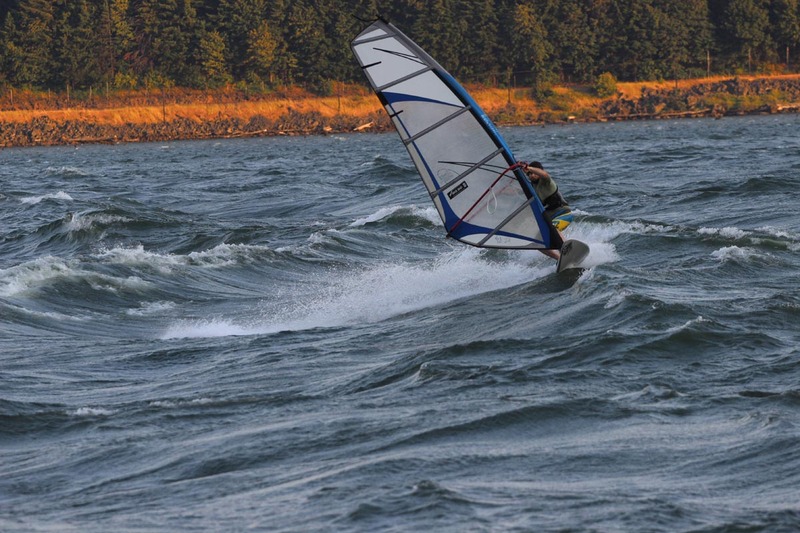 Columbia beach north of Parksville has delivered many days over the few weeks, and I even missed a few of them. 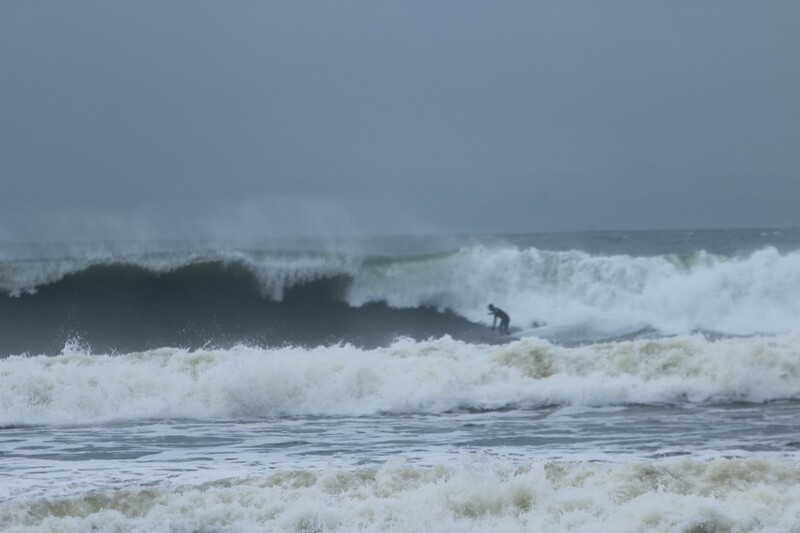 And it’s been delivering some of the best and most challenging conditions I’ve seen, with nice waves, but 25-50 knot winds, making it difficult to nail jibes on the outside. 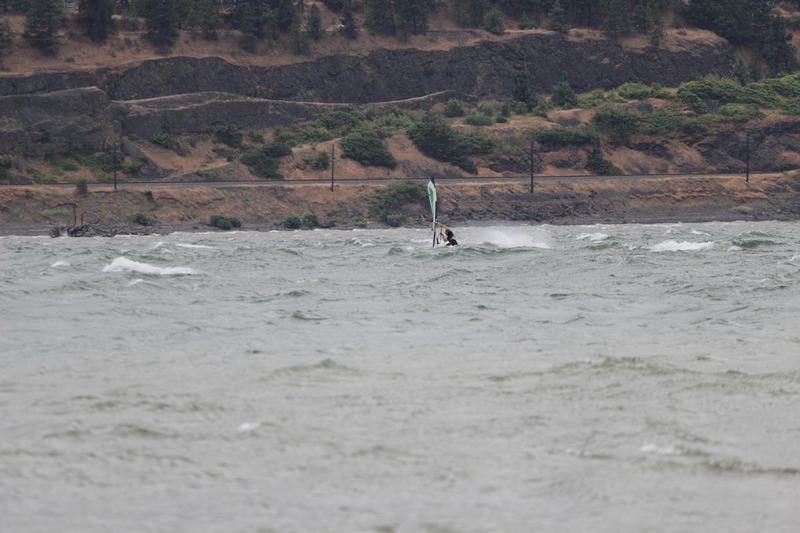 A local sailor know as “Dunkinguy” throws a port forward coming over the wave and lands on the lip in 40-45 knots. 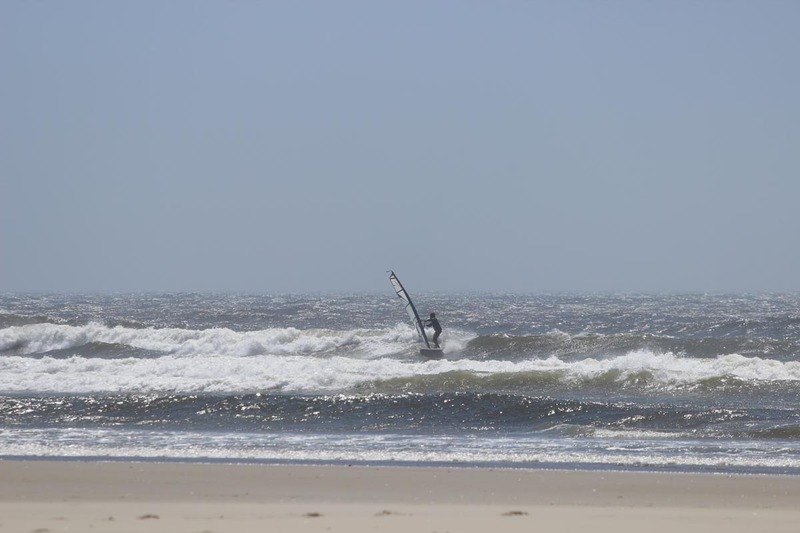 There have also been the odd day here and there at a secret point break that can deliver world class down the line wavesailing a couple times a year. 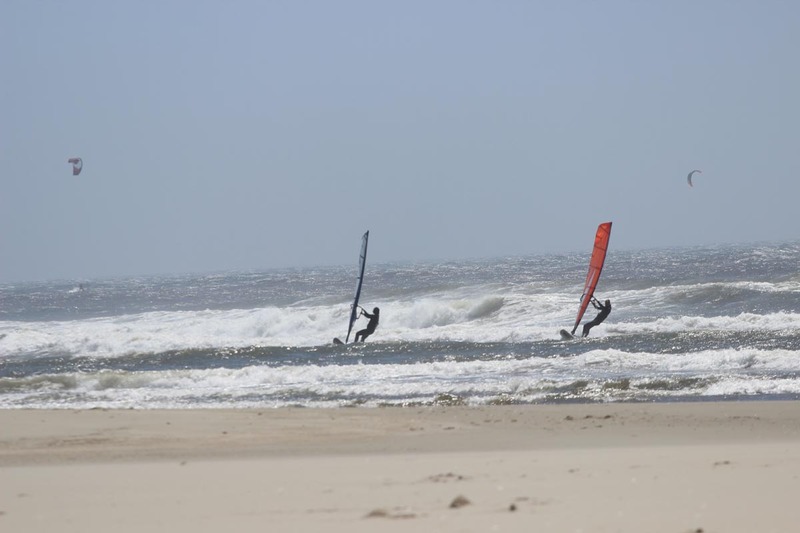 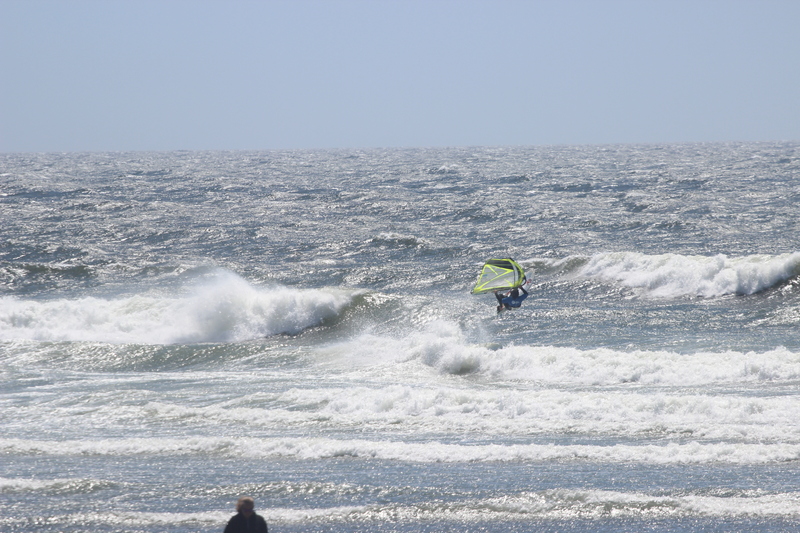 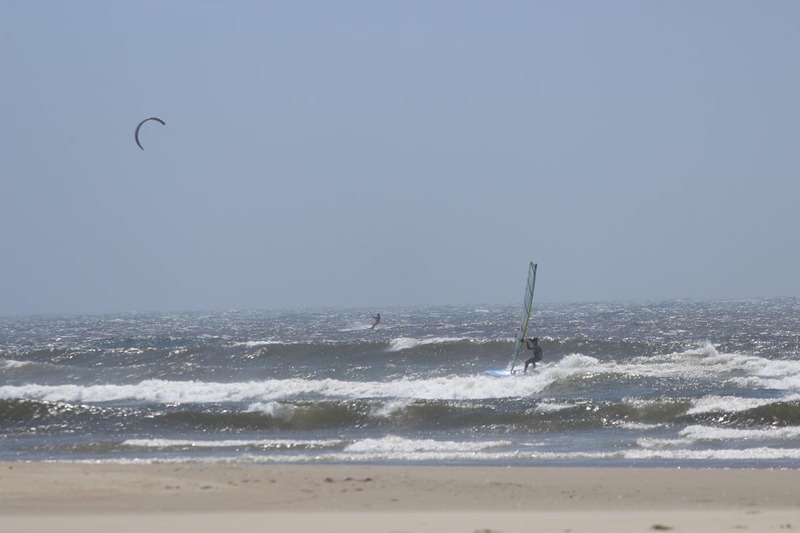 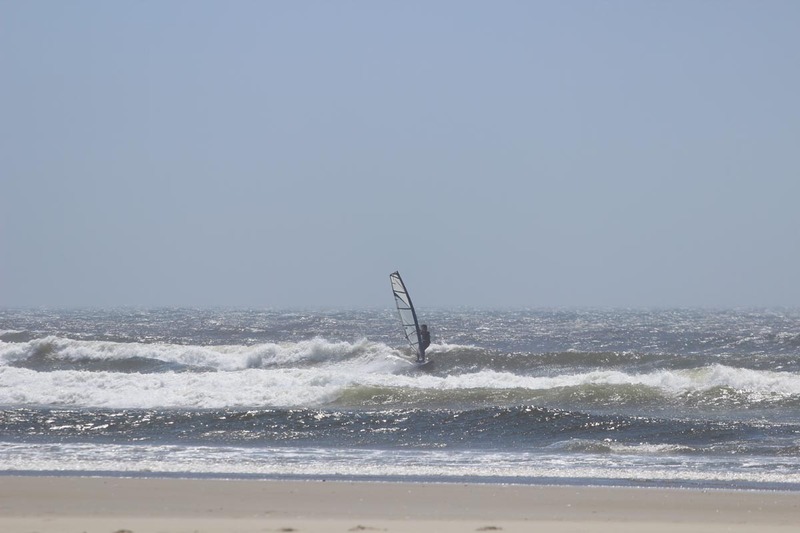 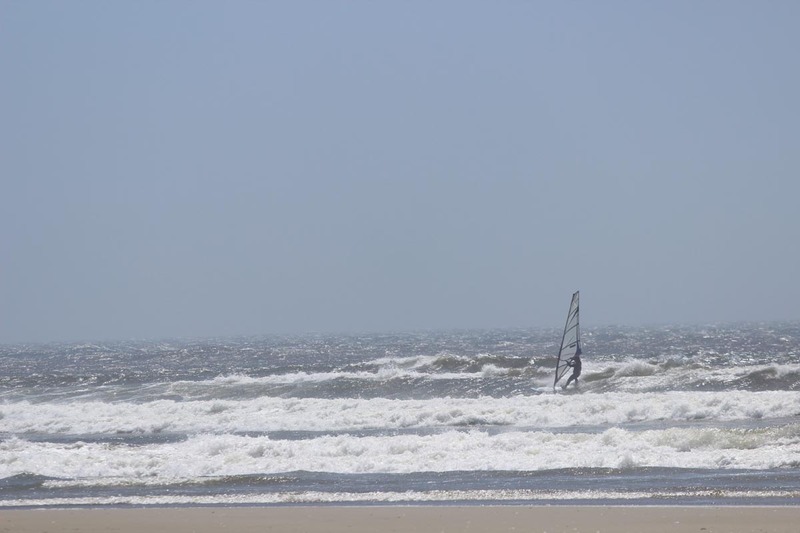 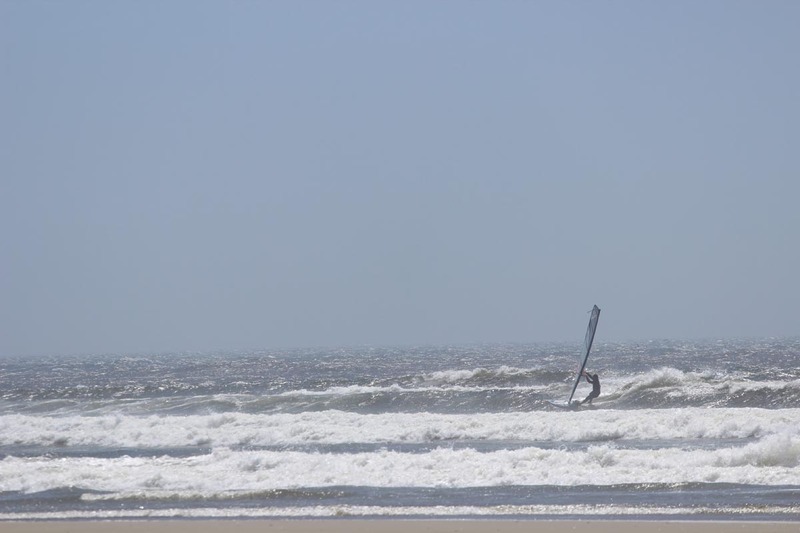 The best looking day was last Sunday, a forecast of 30 knots winds and 27 foot swell. 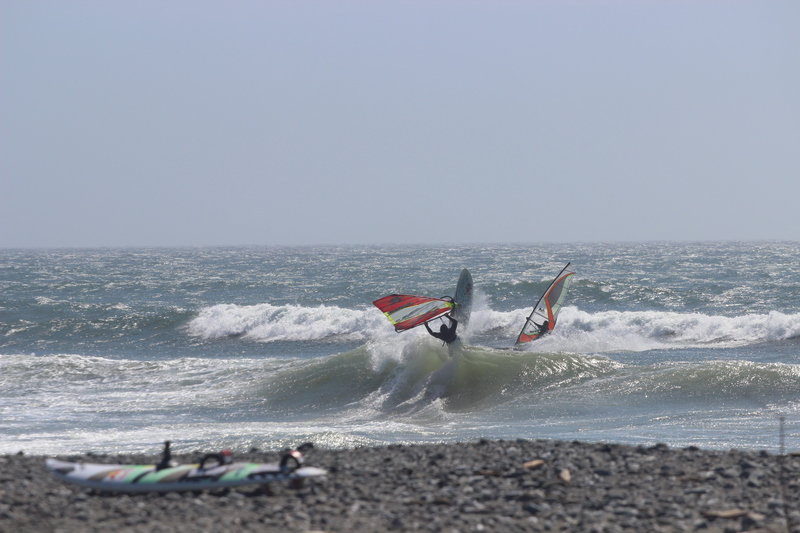 Sadly the winds missed the south Island and only swell rolled in which made for some amazing double to triple overhead swell. 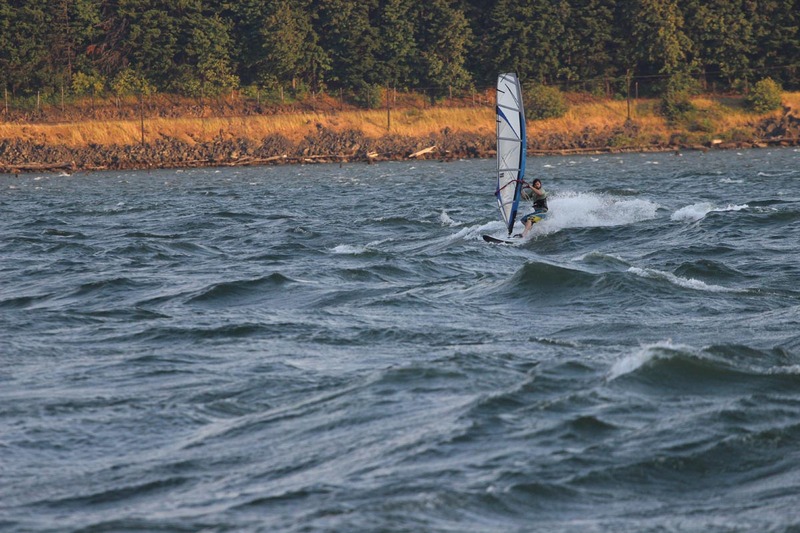 Also on this day winds and swell hit Tofino in Full effect and two windsurfer from Vancouver, Ryan and Jen, scored big time. 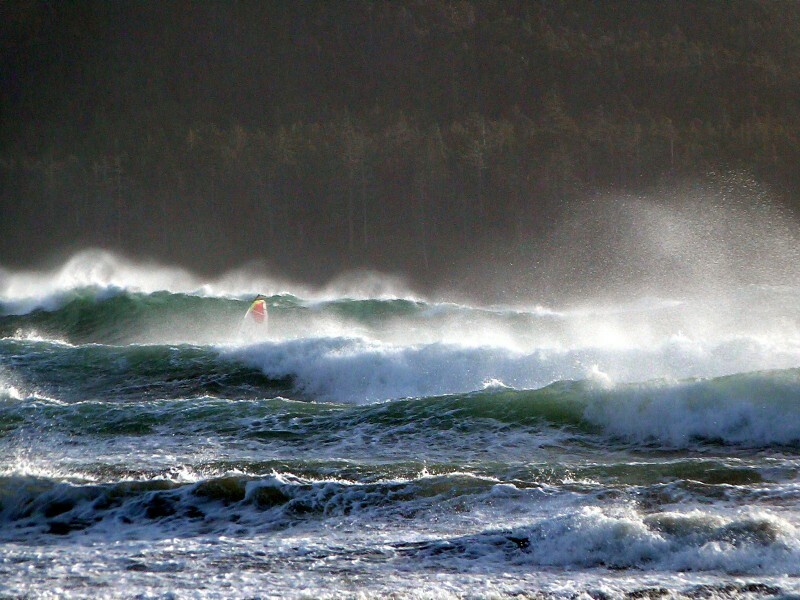 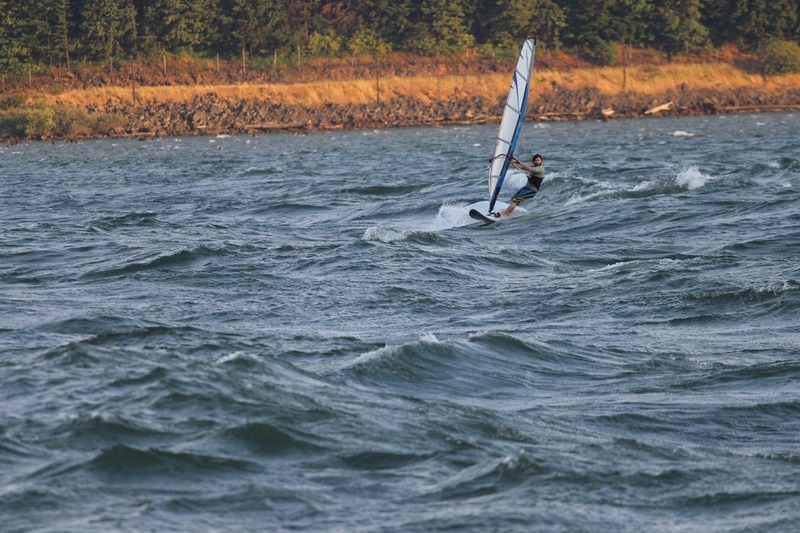 View the full gallery of the epic Tofino storm sailing here. 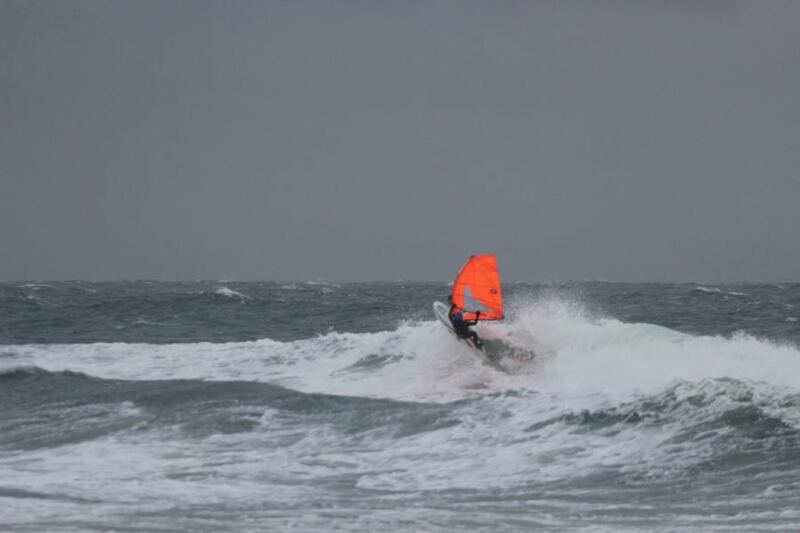 Lets hope this stormy trend continues, I could go for a weekly session at least! 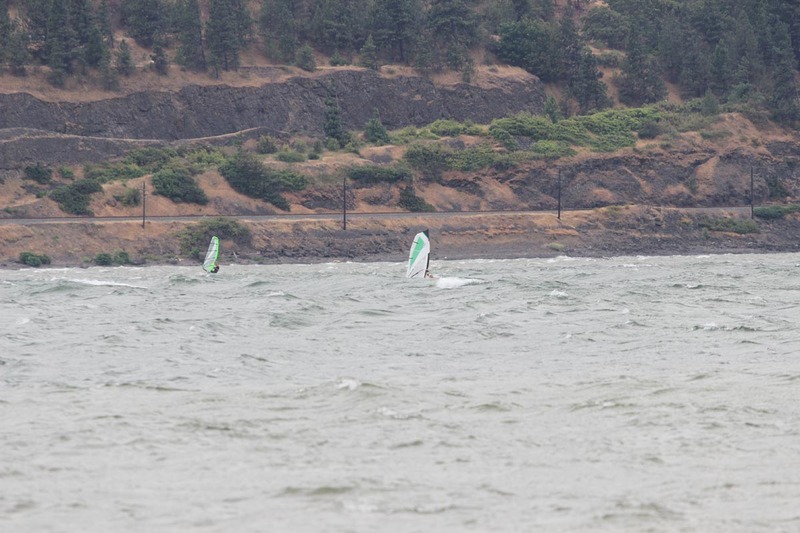 Towards the end of July, Leah, Kaia (Our Dog) and I headed down to Oregon for a little over a week of windsurfing in Hood River and the Oregon Coast. 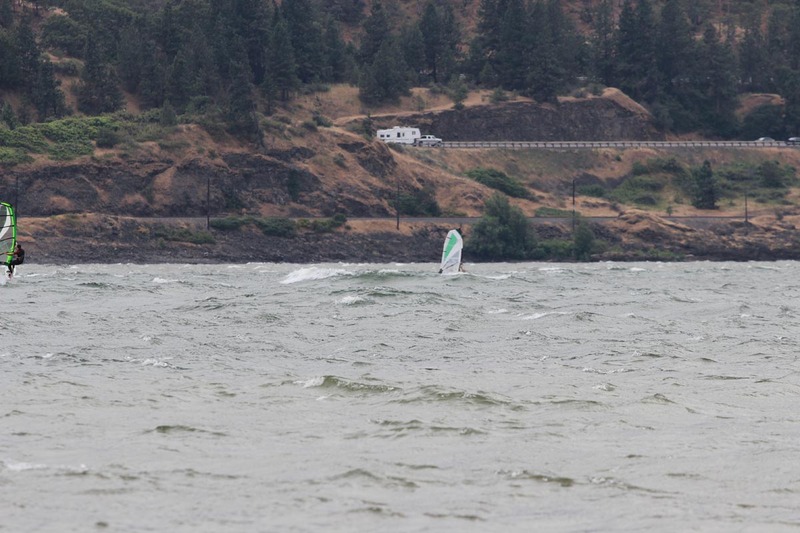 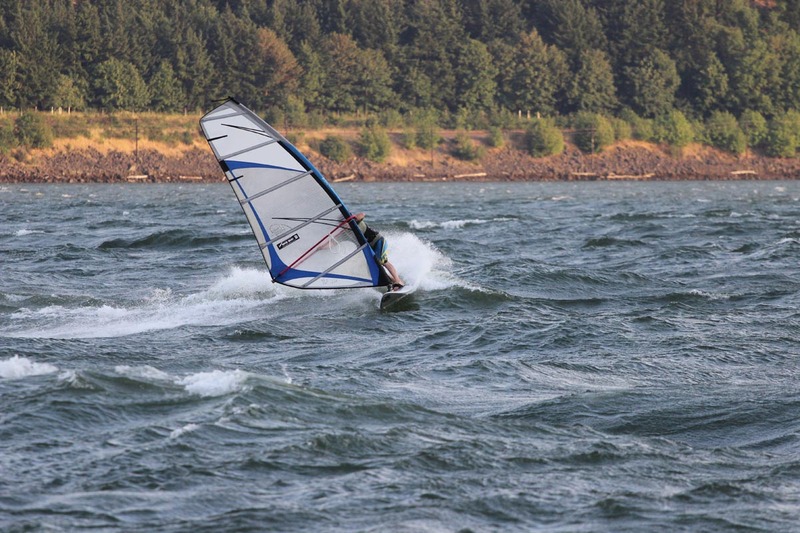 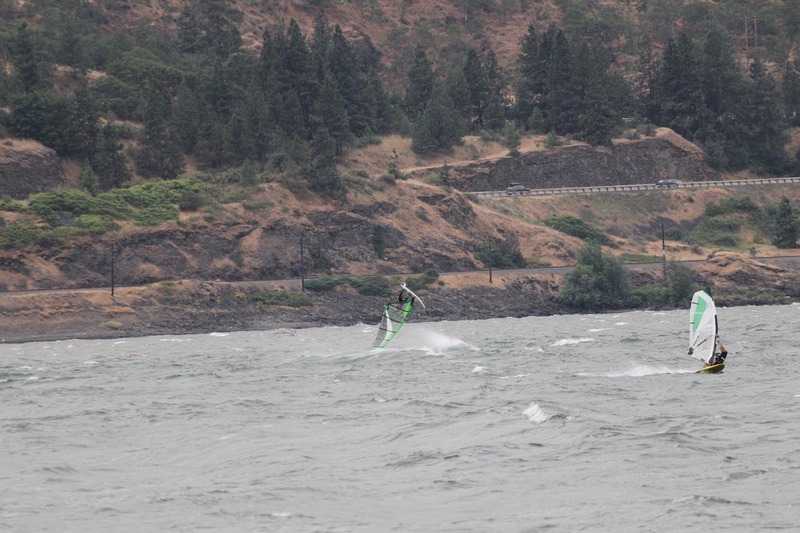 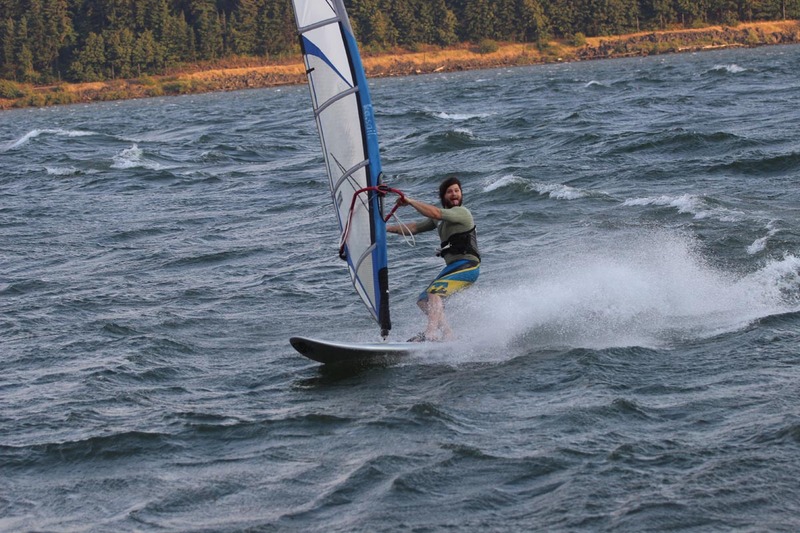 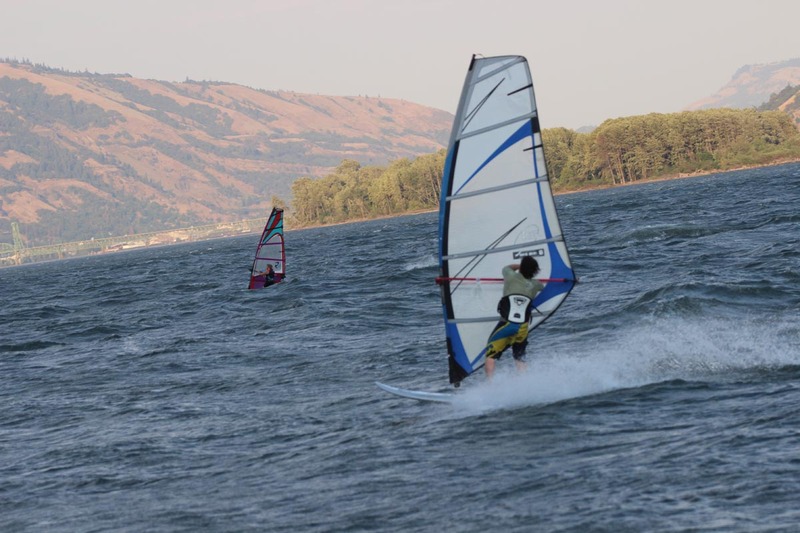 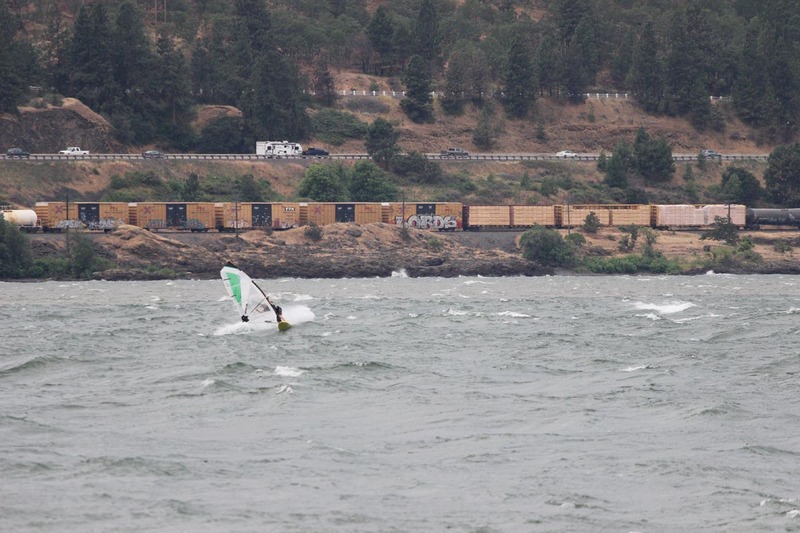 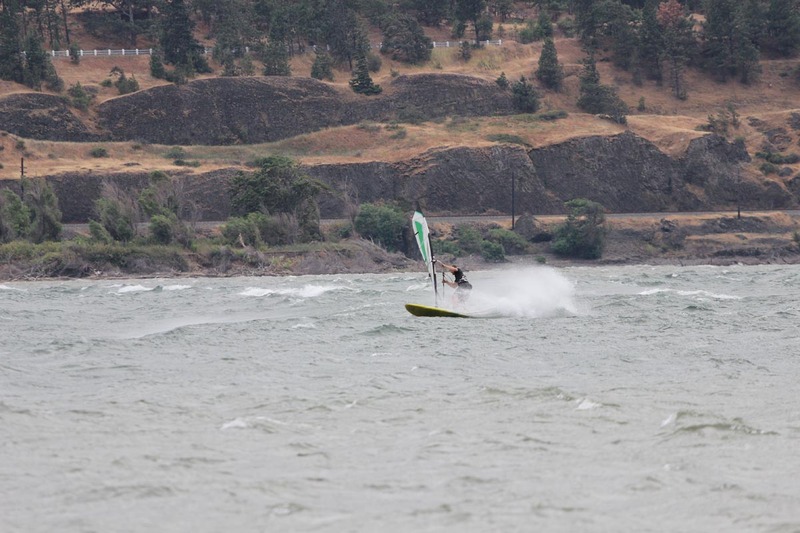 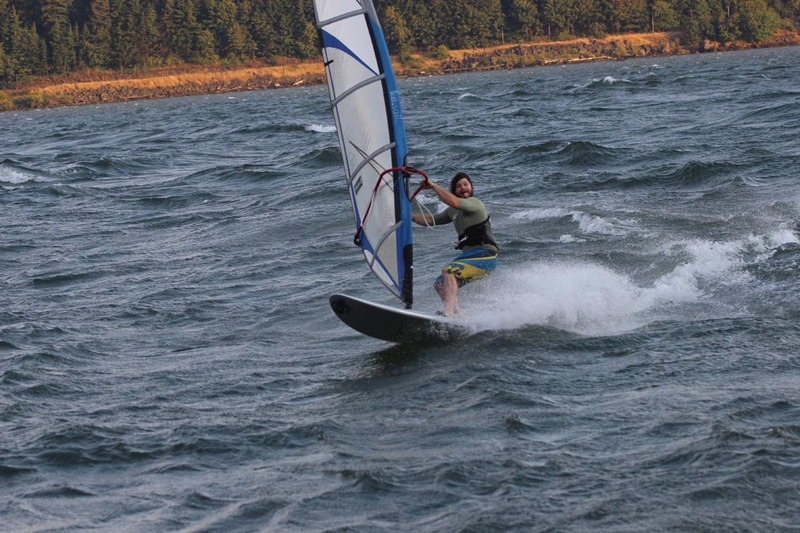 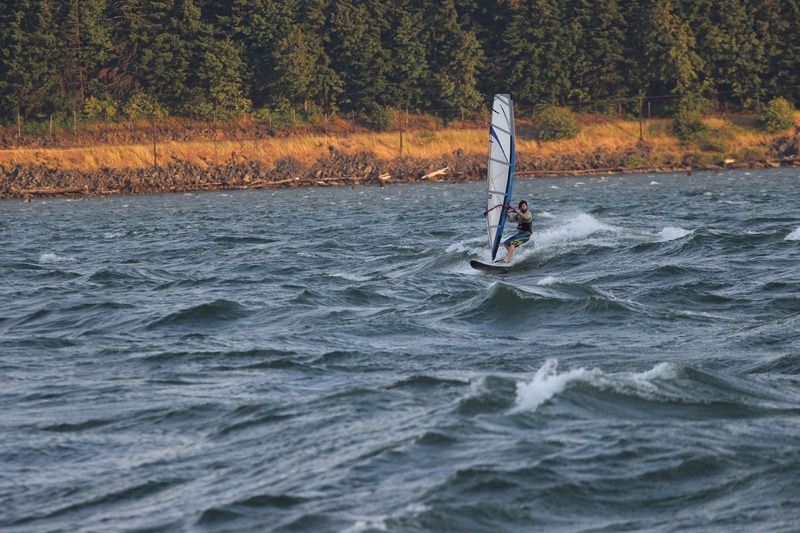 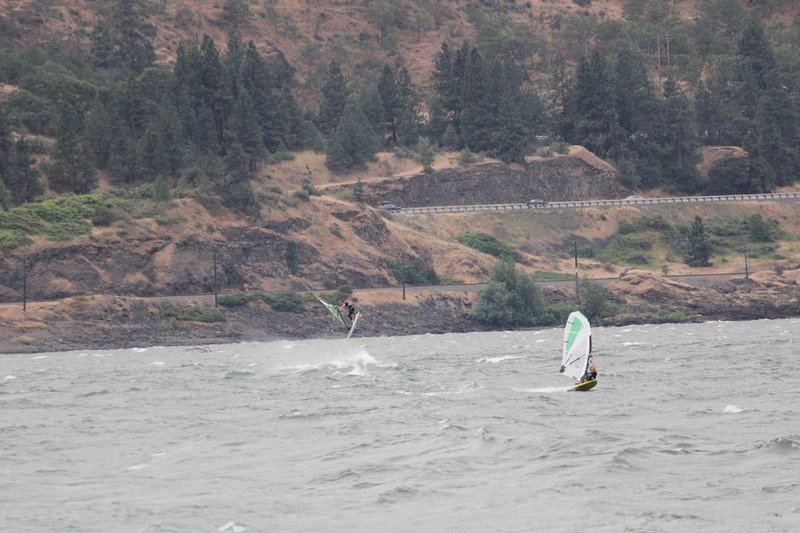 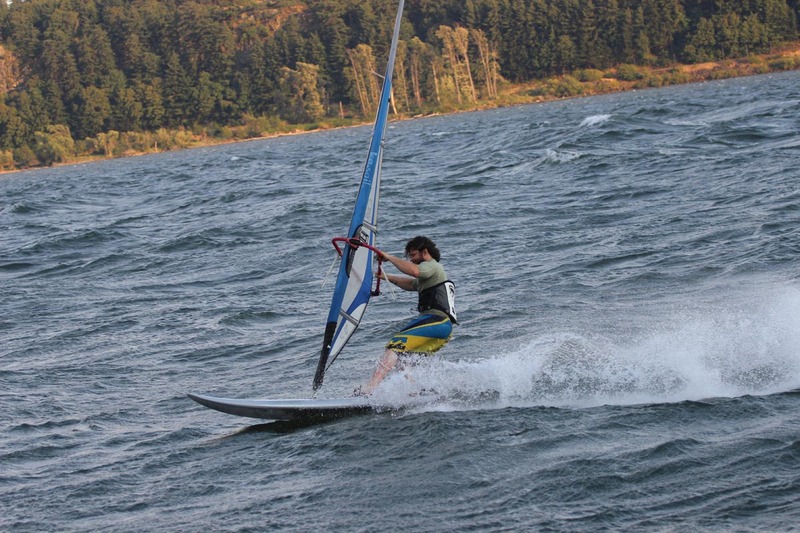 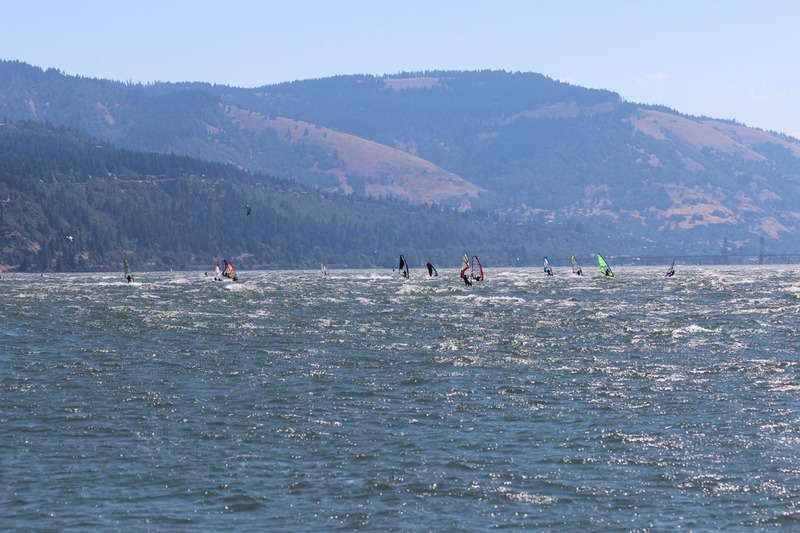 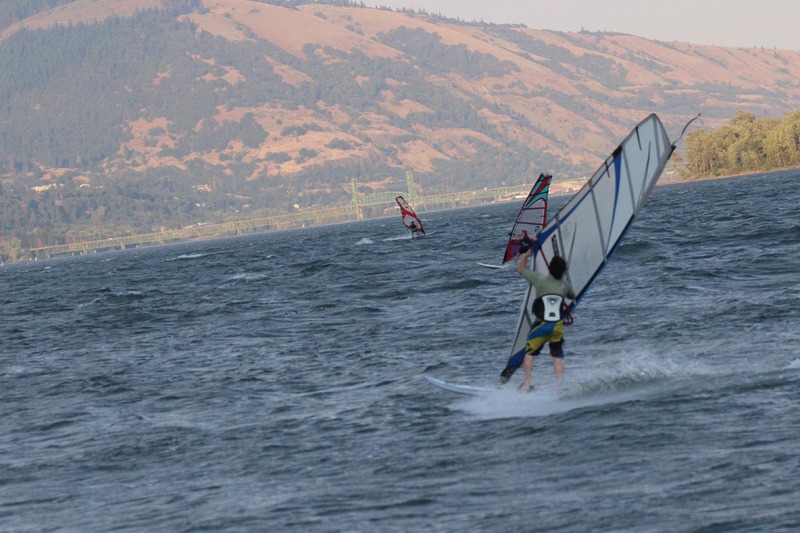 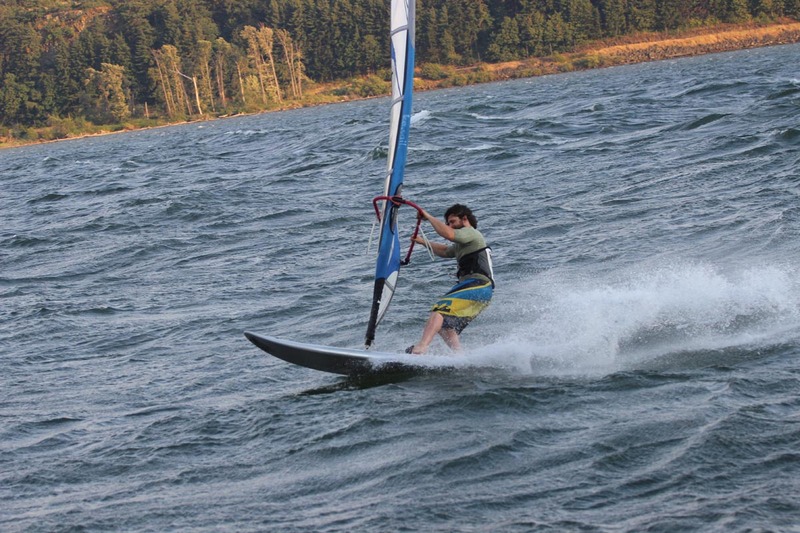 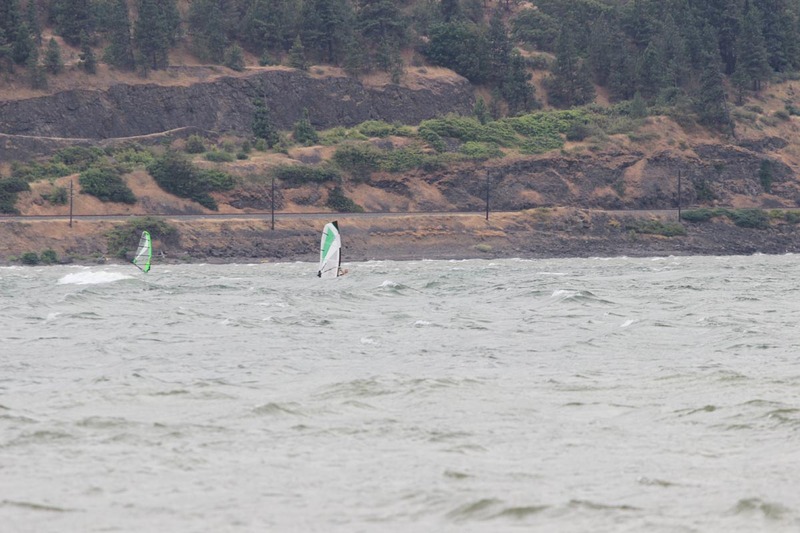 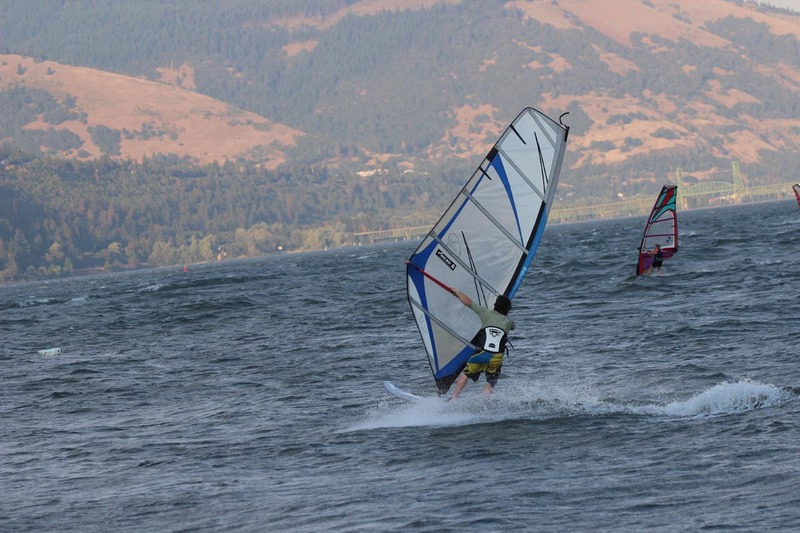 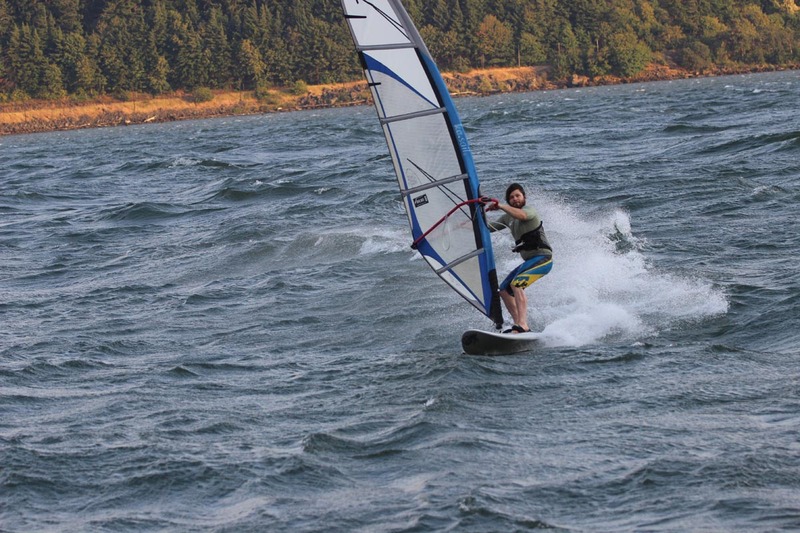 We hit a massive heat wave of 40c, and some awesome winds gusting to 40knots while we where in Hood River. 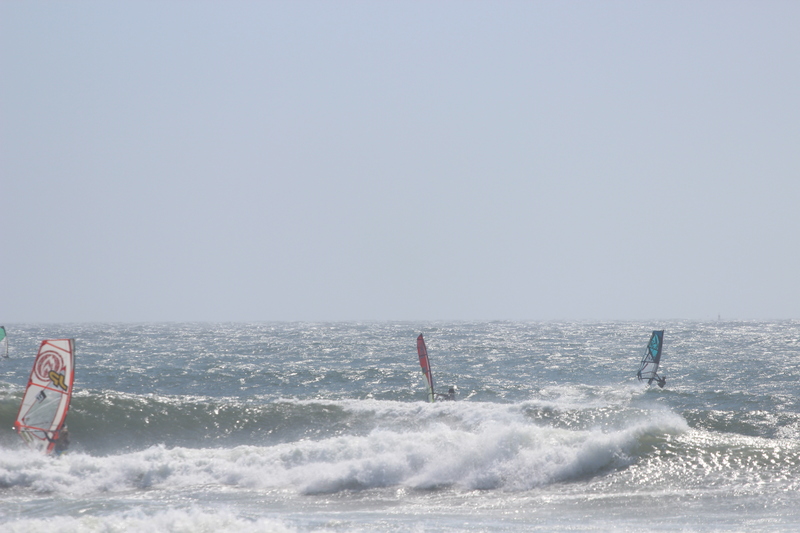 By the time we headed to the coast the heat had killed the wind and I only managed one marginal day in Florence. 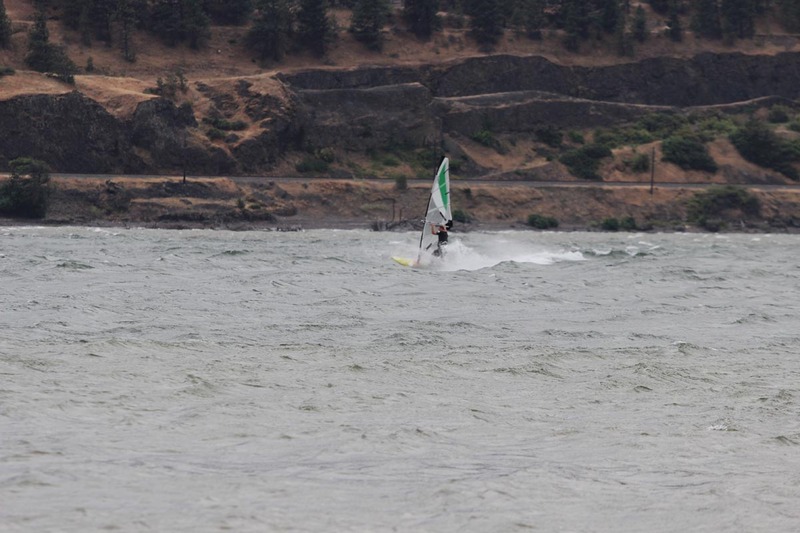 A little update before heading to the Oregon Coast and Hood river in a just under a week. 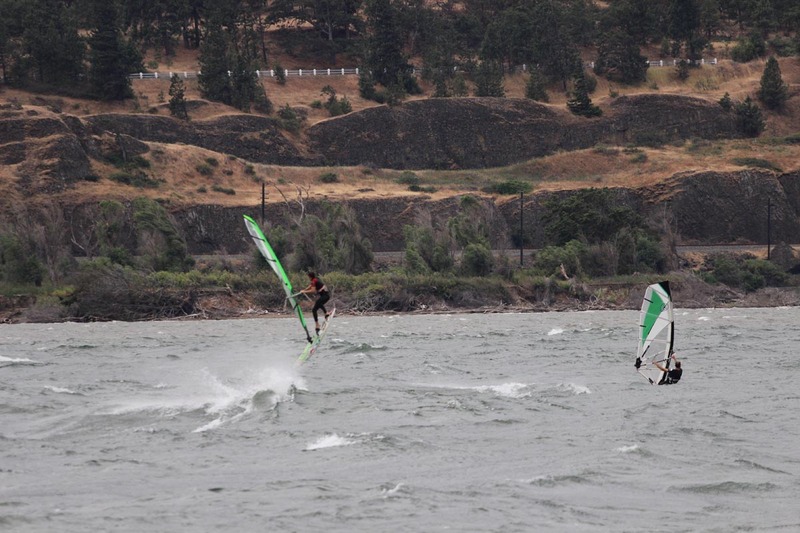 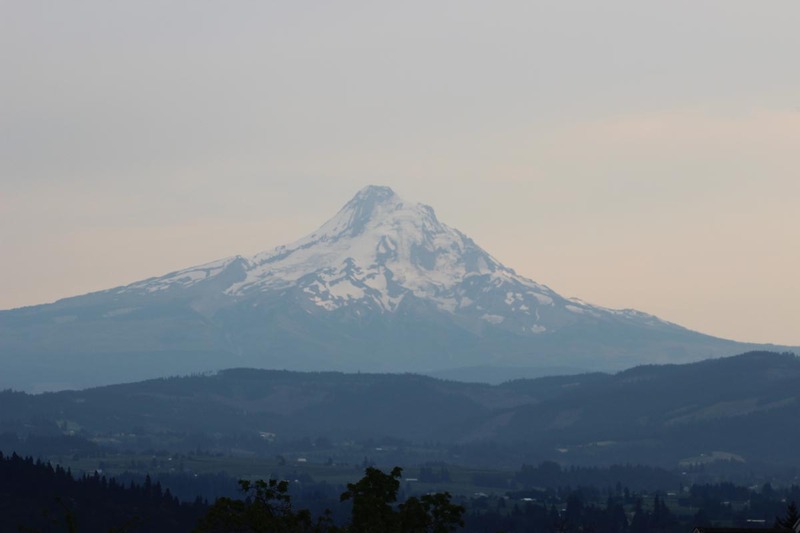 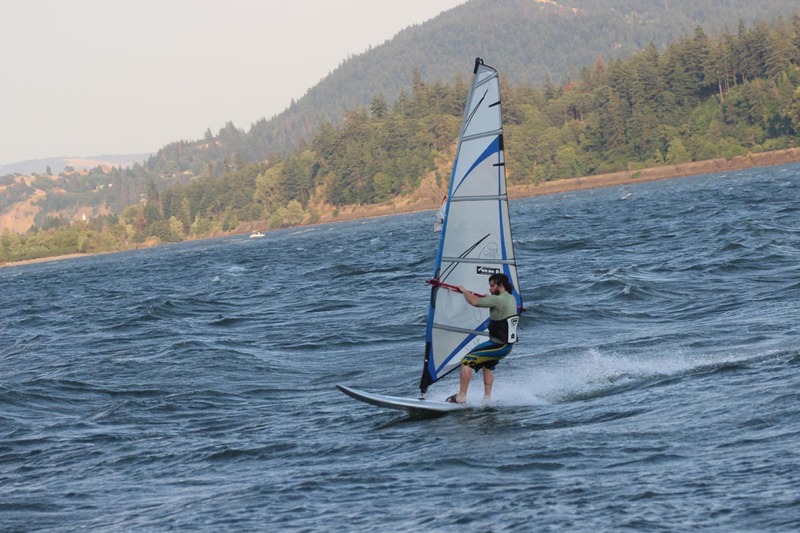 This summer and spring have only seen a few trips to Nitnat, 1 quick trip to Hood River, which was pretty much a skunk, and a couple Gordon’s Beach sessions, so already a better start then last year. 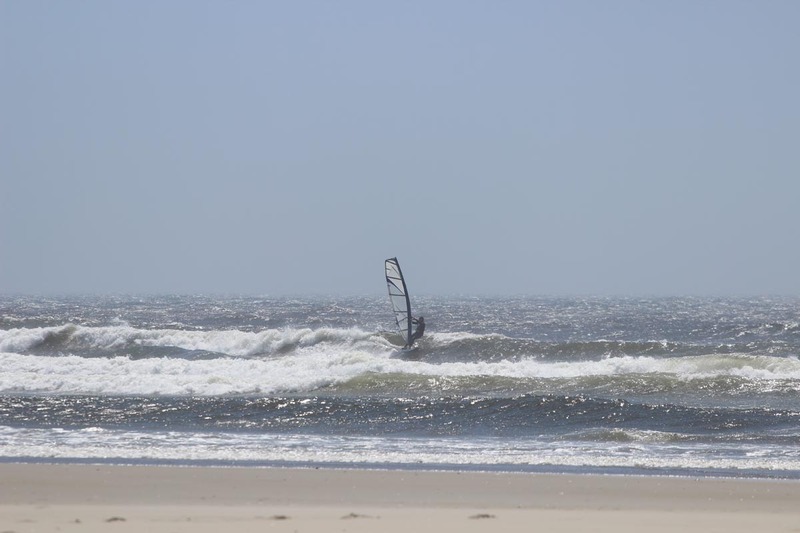 The most exciting thing is the girlfriend has just started to learn! 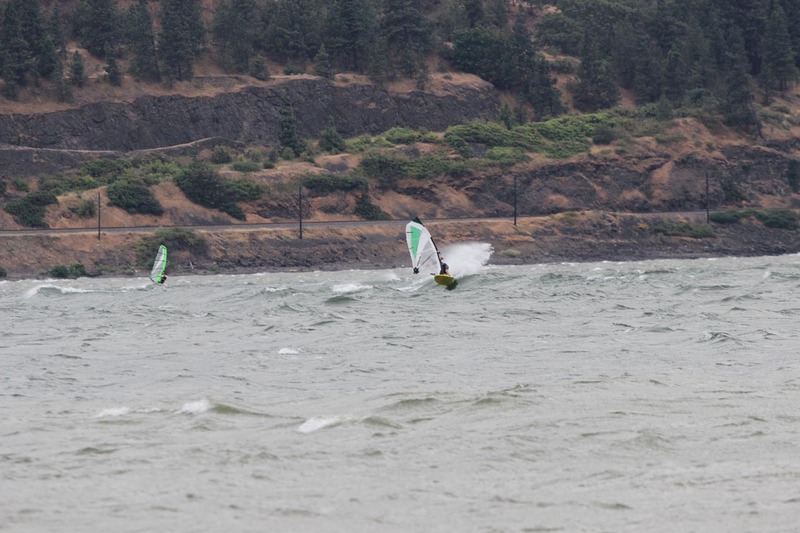 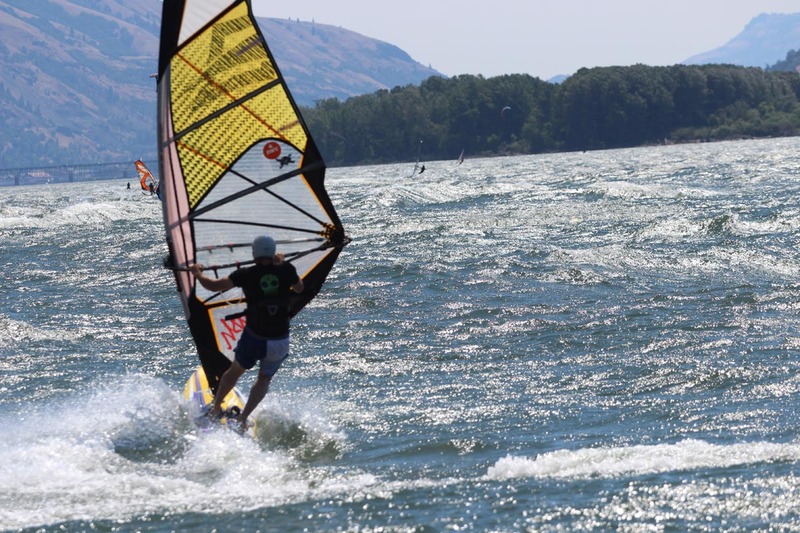 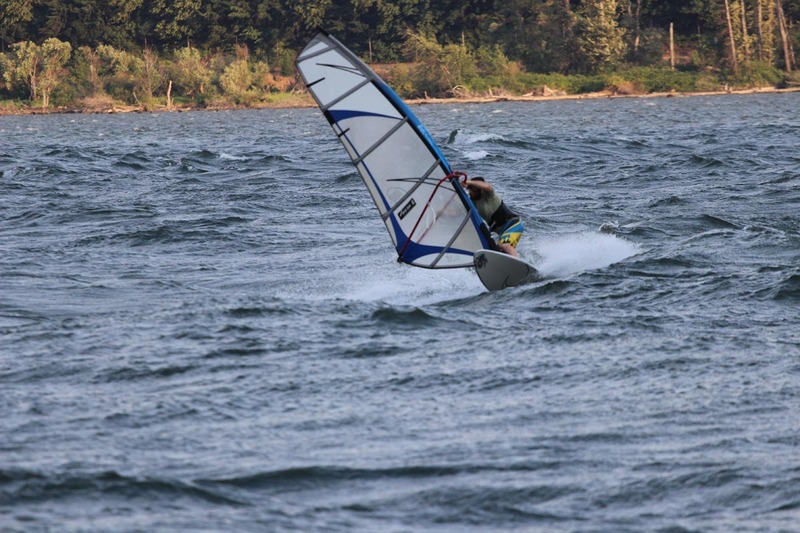 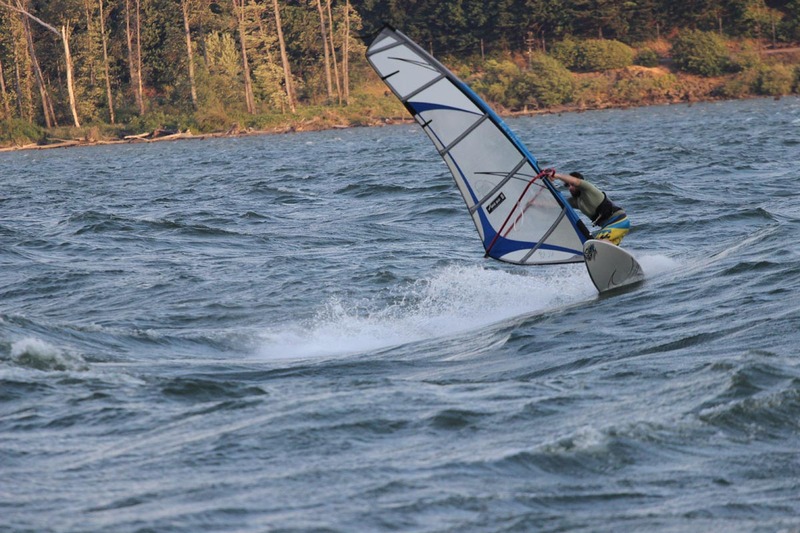 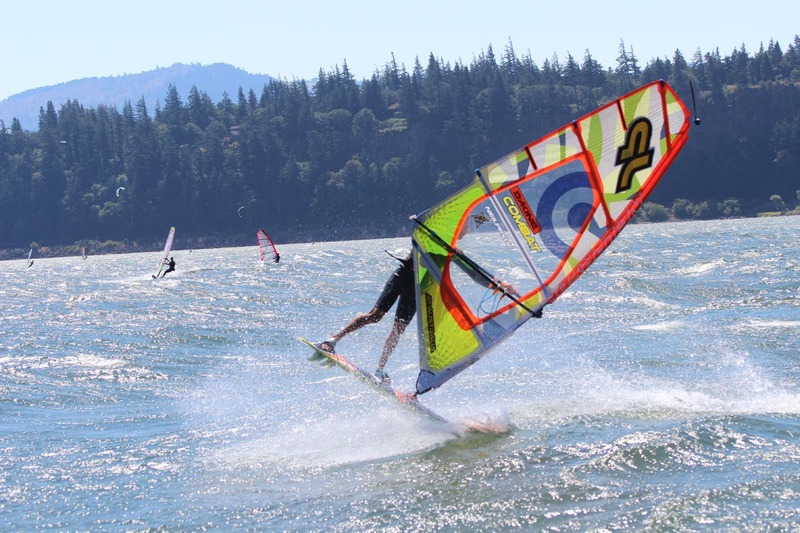 Here’s to hoping the 40c+ 105f temps in the next week in Hood River bring some wind followed by some wind and waves on the coast. 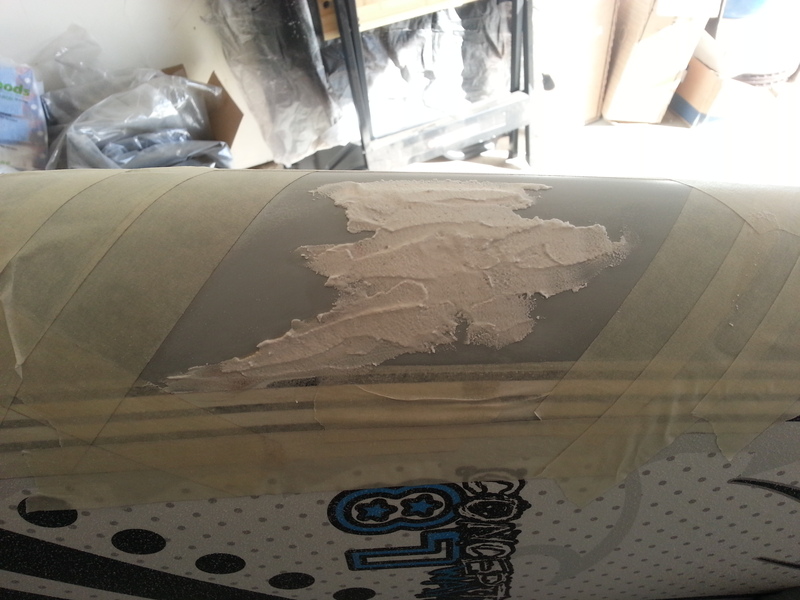 Board damage happens, it’s part of windsurfing, someone once told me “if you aren’t pushing yourself far enough to fall you aren’t pushing yourself far enough to improve”, unless you’ve seen a shark! 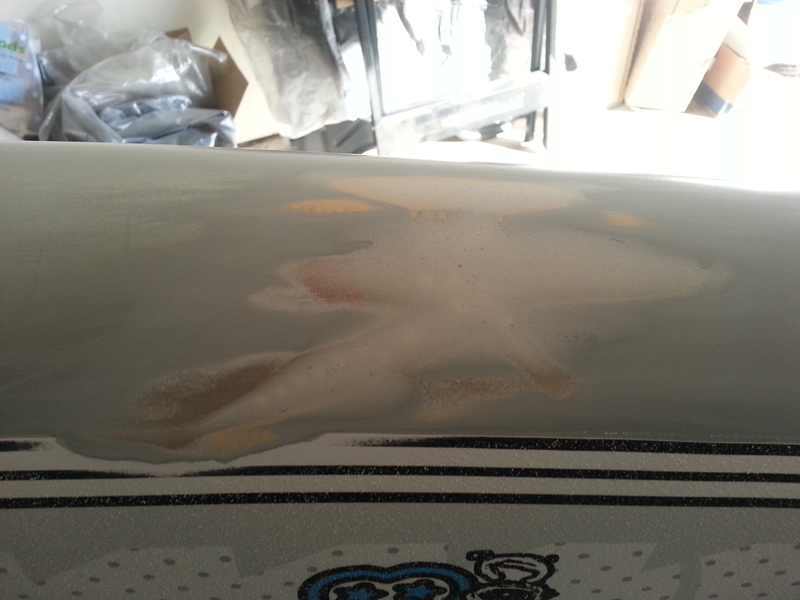 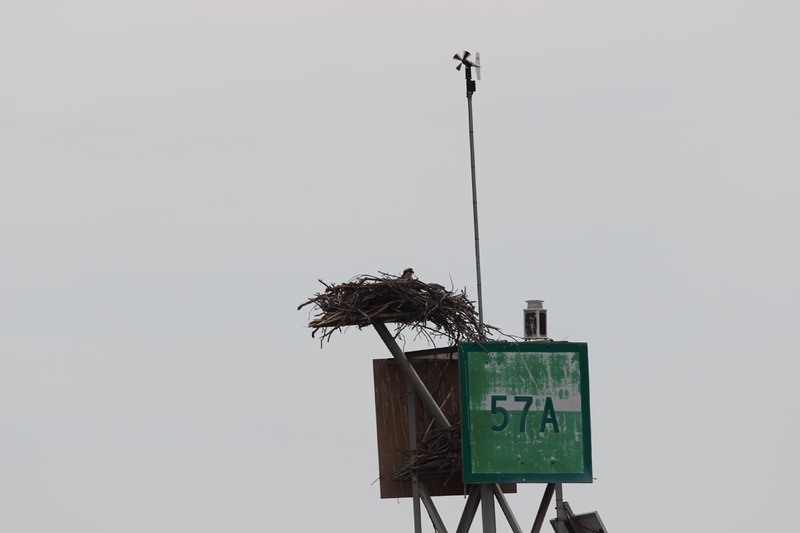 This particular crack on my AHD concept wave happened while getting crunched by a wave set on the mast. 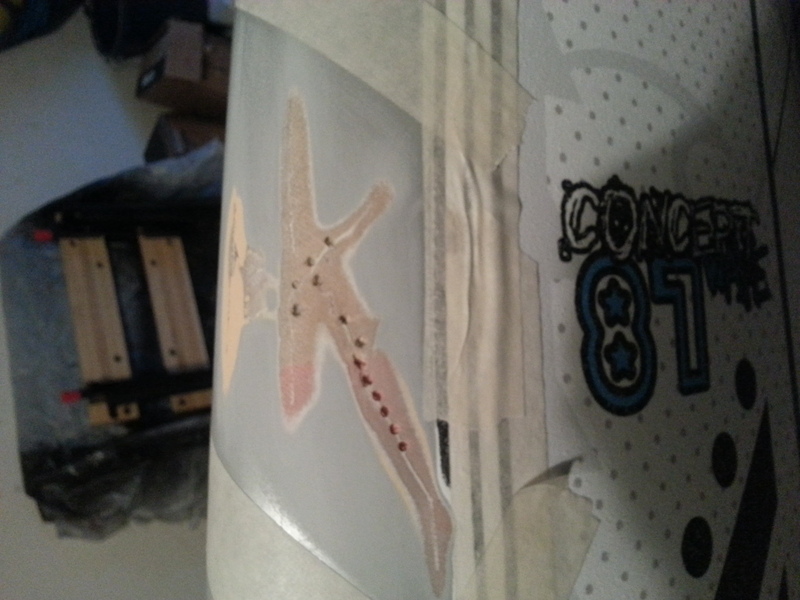 I’ve become quite handy at repairs. 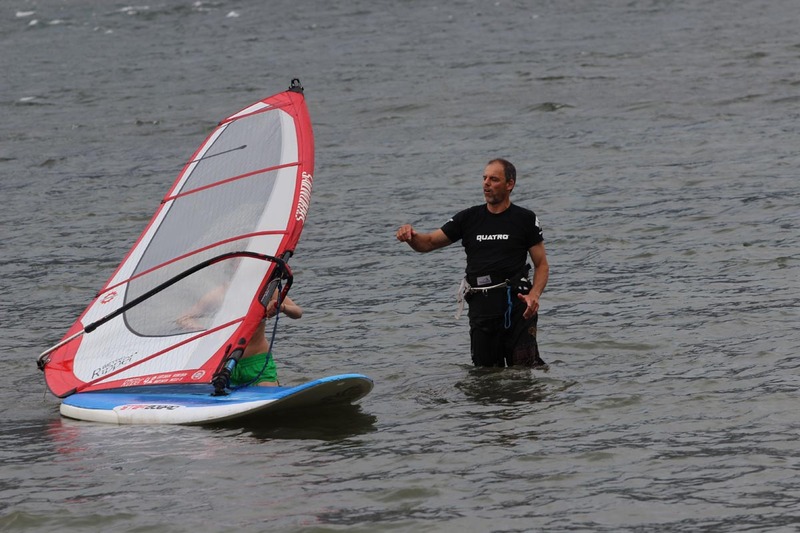 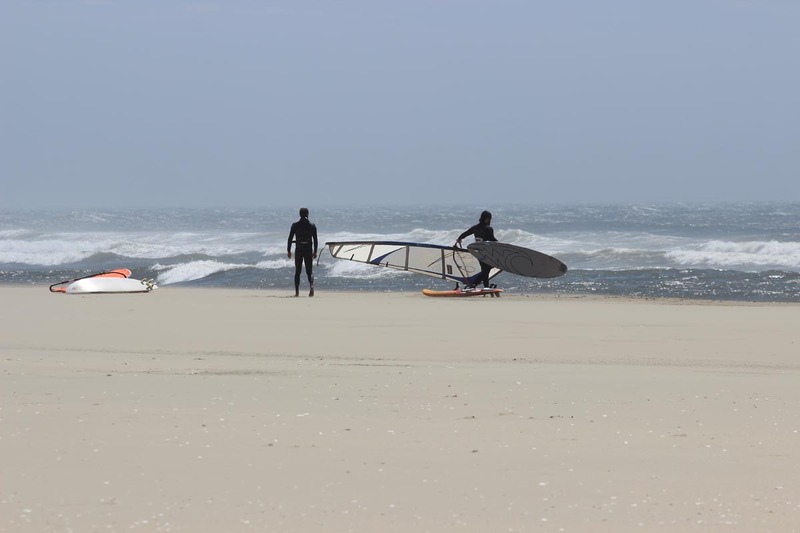 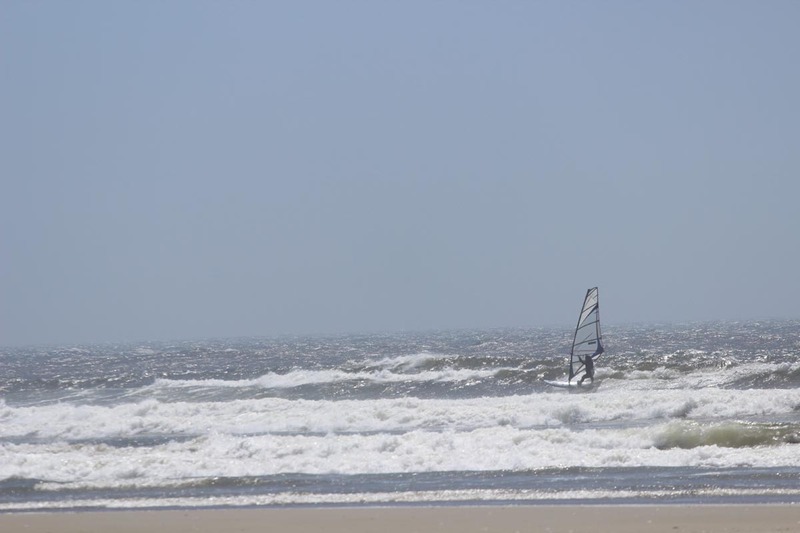 Years of teaching windsurfing at resorts and schools, plus my own gear which I would often find damaged from travel and abuse have given me lots of experience. 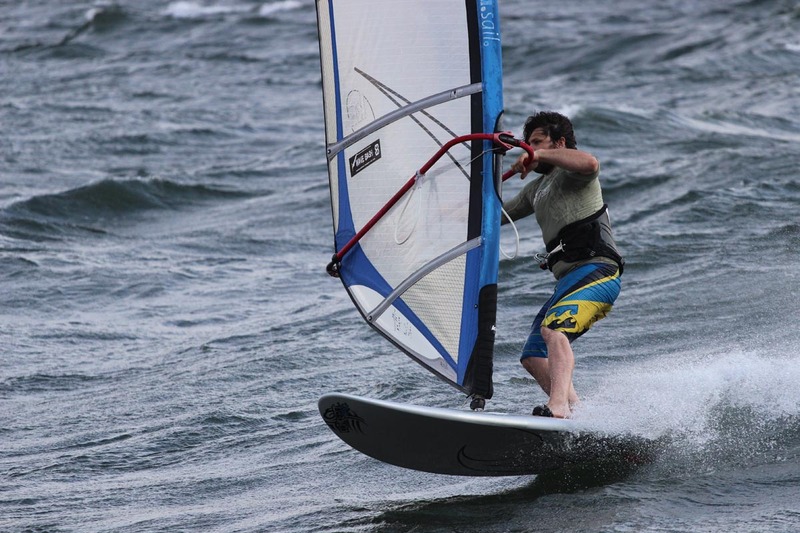 However I feel most windsurfers can do a basic repair on there own, if you’re not comfortable oo looking for perfection take it to a pro! 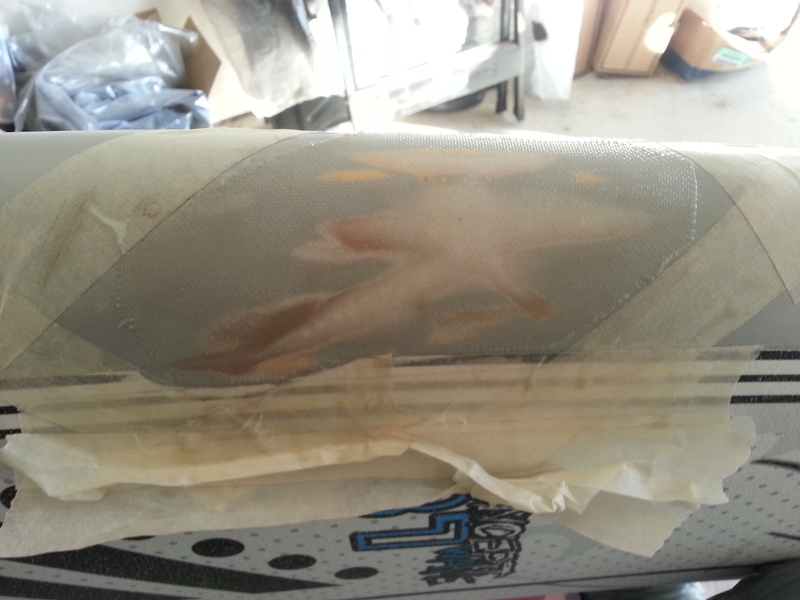 Here a brief over view of the repair steps. 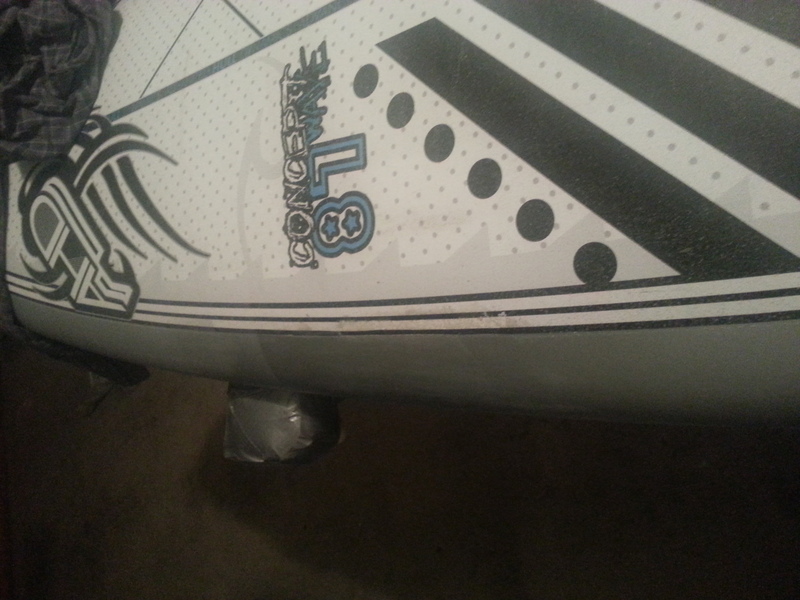 a bit of touch of graphics for the black and white, plus some re-deck and the job is done!